13 1. 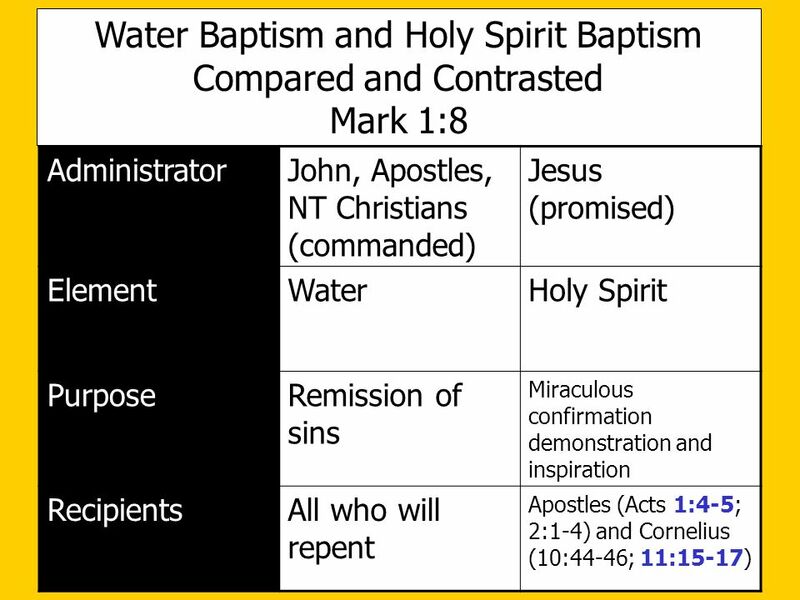 John’s baptism 2. People come to John 3. 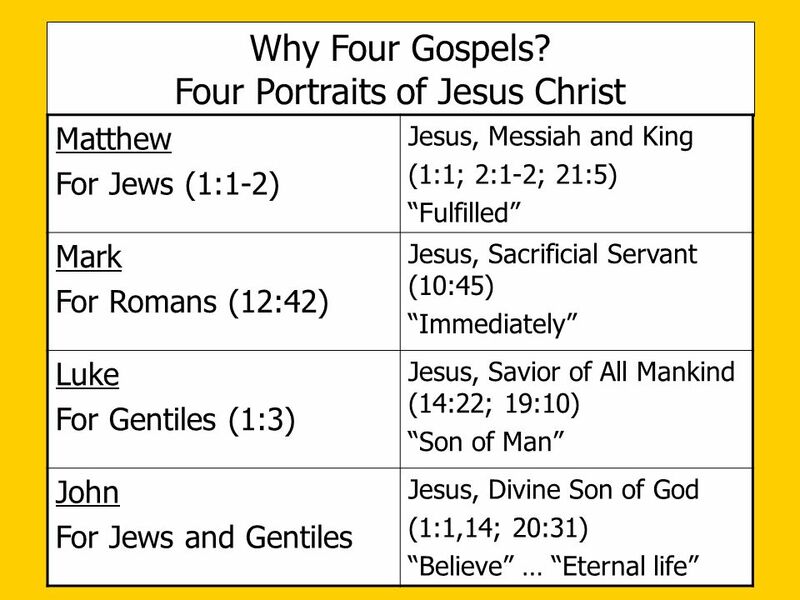 Jesus comes to John 4. 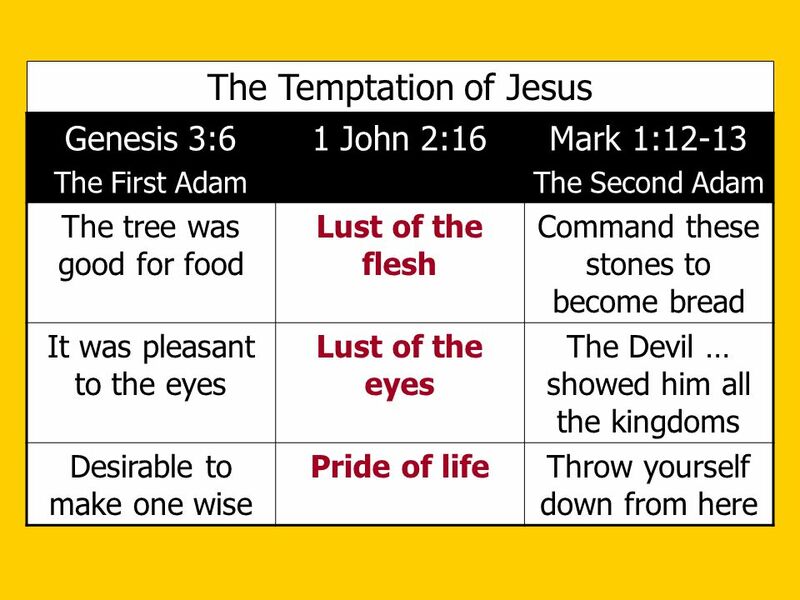 Jesus is tempted 5. 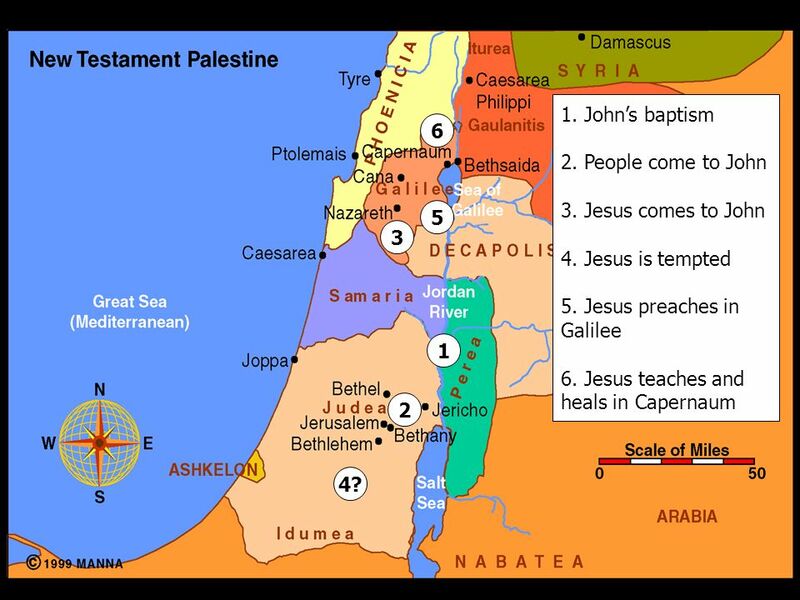 Jesus preaches in Galilee 6. 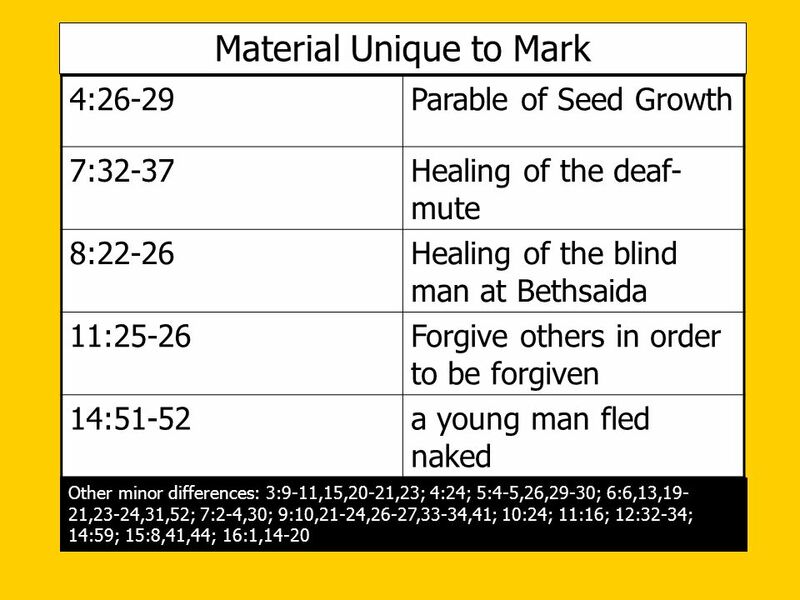 Jesus teaches and heals in Capernaum 6 5 3 1 2 4? 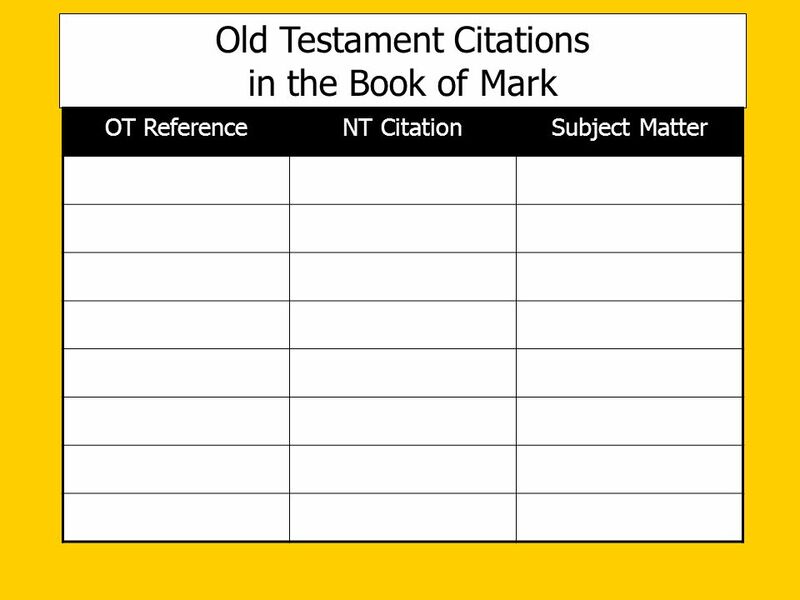 in the Book of Mark Scribes (1:26; 2:6,22; etc.) 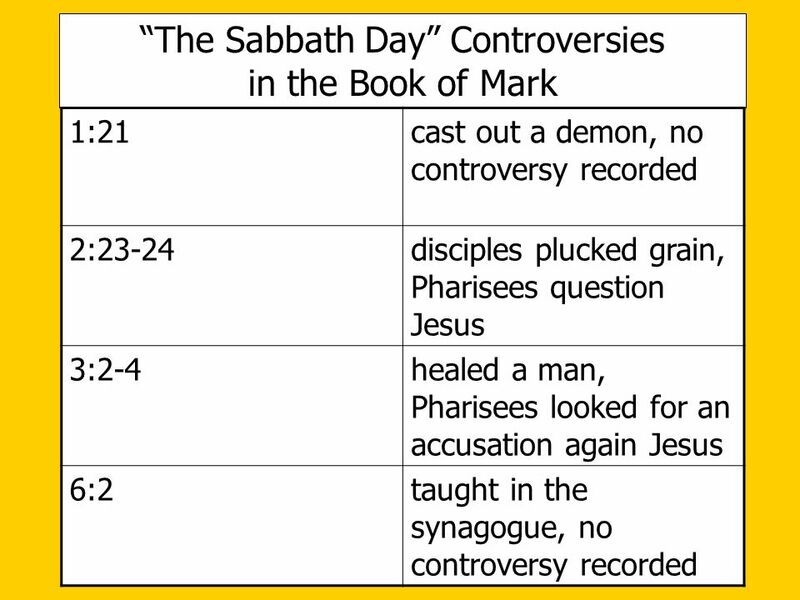 lawyers, teachers, scribes, copyists, part of the Pharisees Pharisees (2:16,18,24; etc.) 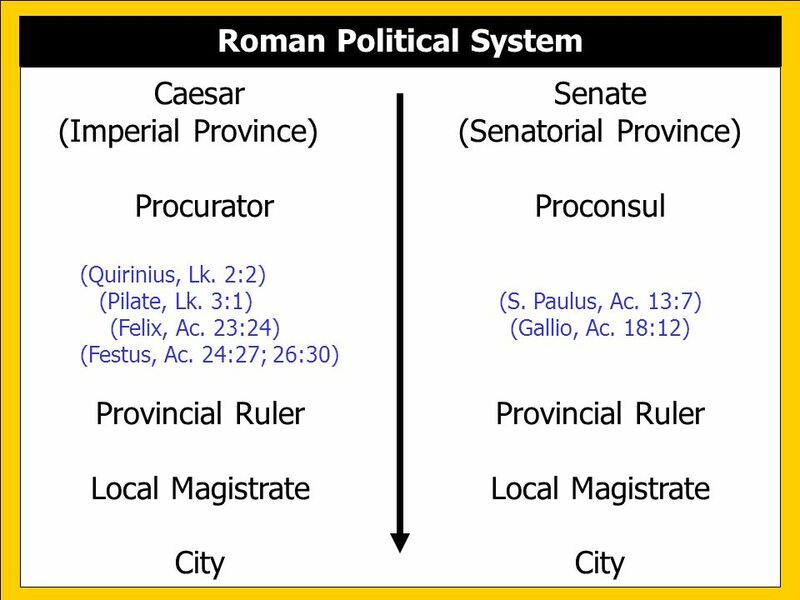 – c. 2nd Cent. B.C. 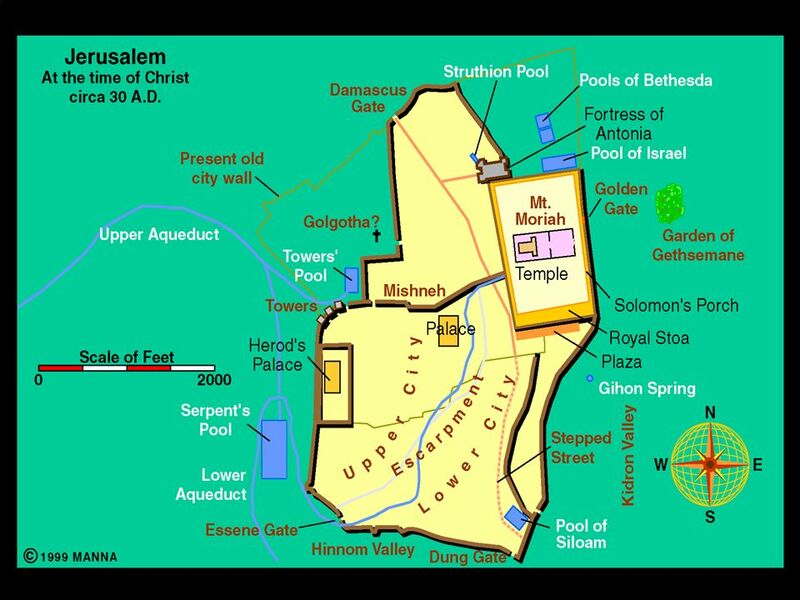 Leading religious leaders, controlled the temple; strict sect; many traditions Sadducees (12:18) – c B.C. 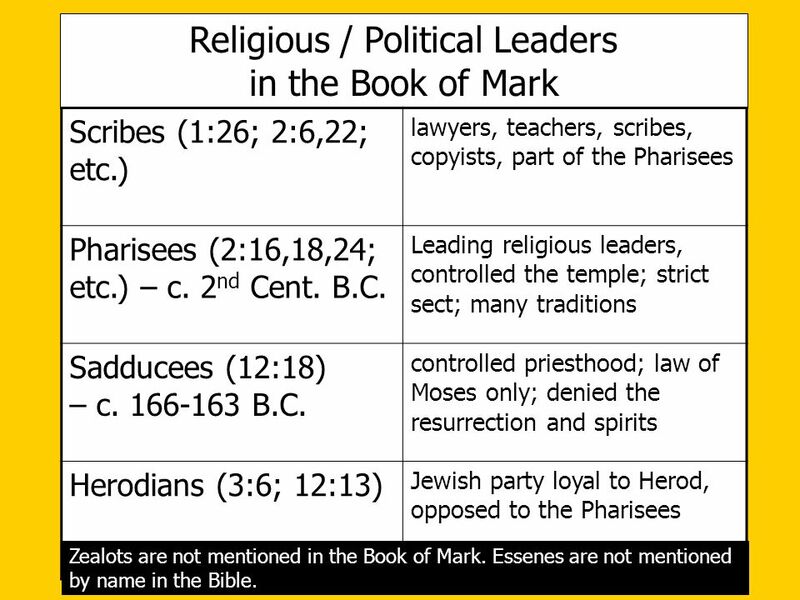 controlled priesthood; law of Moses only; denied the resurrection and spirits Herodians (3:6; 12:13) Jewish party loyal to Herod, opposed to the Pharisees Zealots are not mentioned in the Book of Mark. 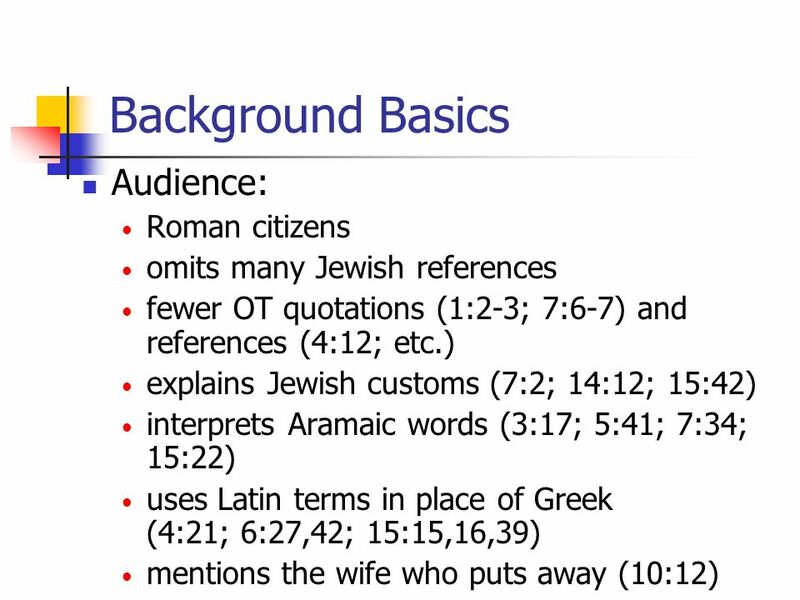 Essenes are not mentioned by name in the Bible. 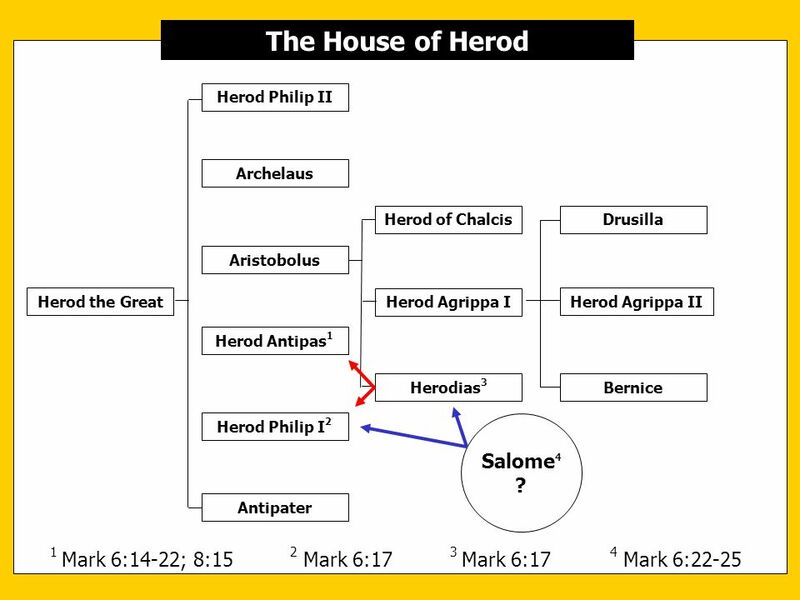 37 The House of Herod Salome4 ? 1. 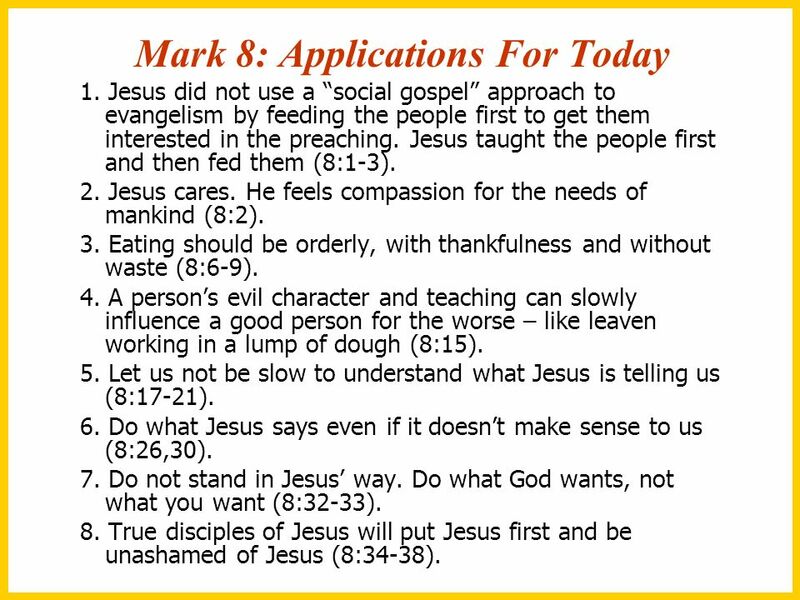 Jesus did not use a “social gospel” approach to evangelism by feeding the people first to get them interested in the preaching. Jesus taught the people first and then fed them (8:1-3). 2. Jesus cares. He feels compassion for the needs of mankind (8:2). 3. Eating should be orderly, with thankfulness and without waste (8:6-9). 4. A person’s evil character and teaching can slowly influence a good person for the worse – like leaven working in a lump of dough (8:15). 5. 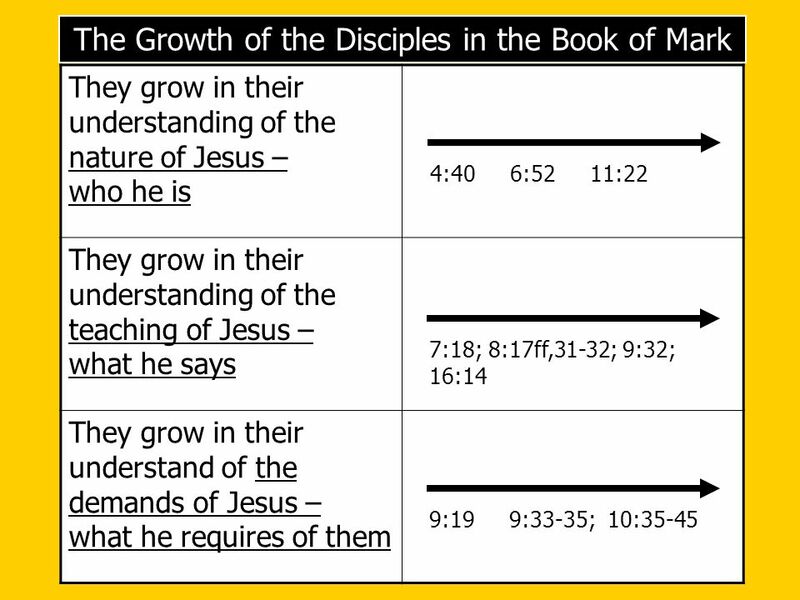 Let us not be slow to understand what Jesus is telling us (8:17-21). 6. 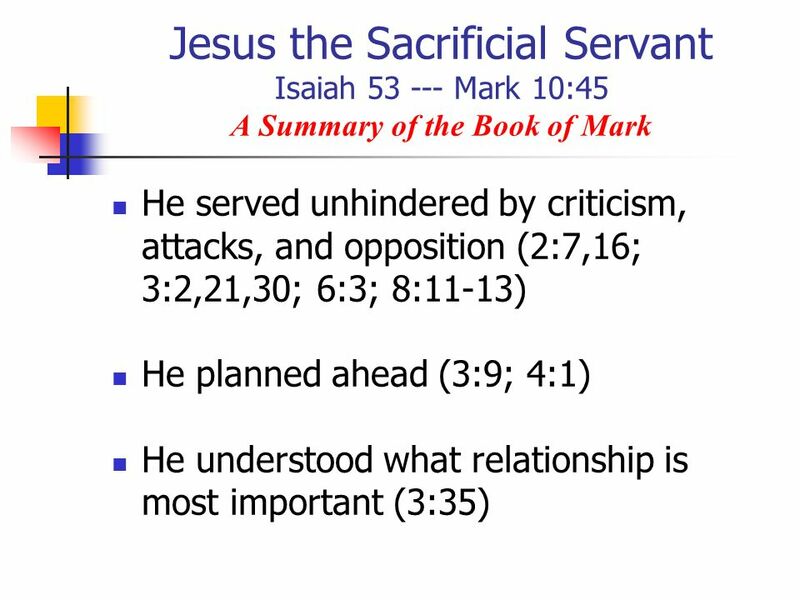 Do what Jesus says even if it doesn’t make sense to us (8:26,30). 7. Do not stand in Jesus’ way. Do what God wants, not what you want (8:32-33). 8. 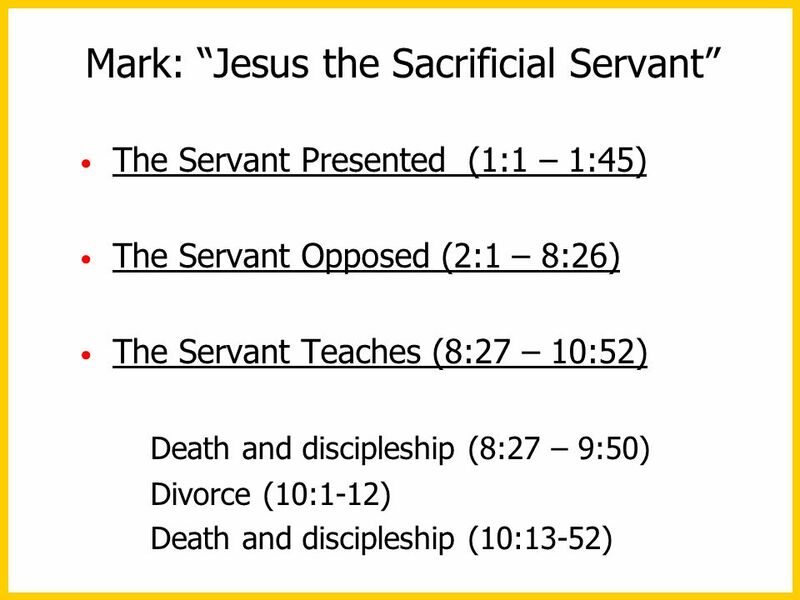 True disciples of Jesus will put Jesus first and be unashamed of Jesus (8:34-38). 1. 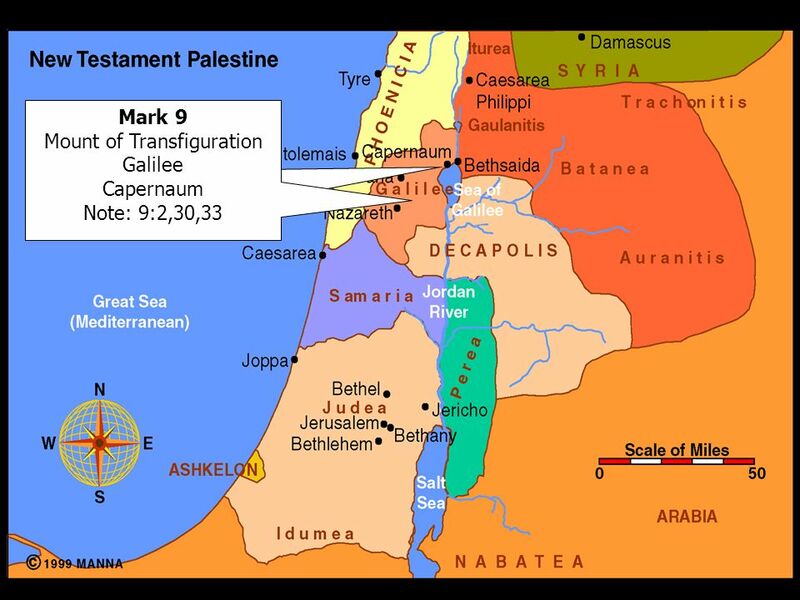 The kingdom of God has already been established with power (9:1). There will be no future millennial kingdom on the earth as taught by premillennialists. 2. 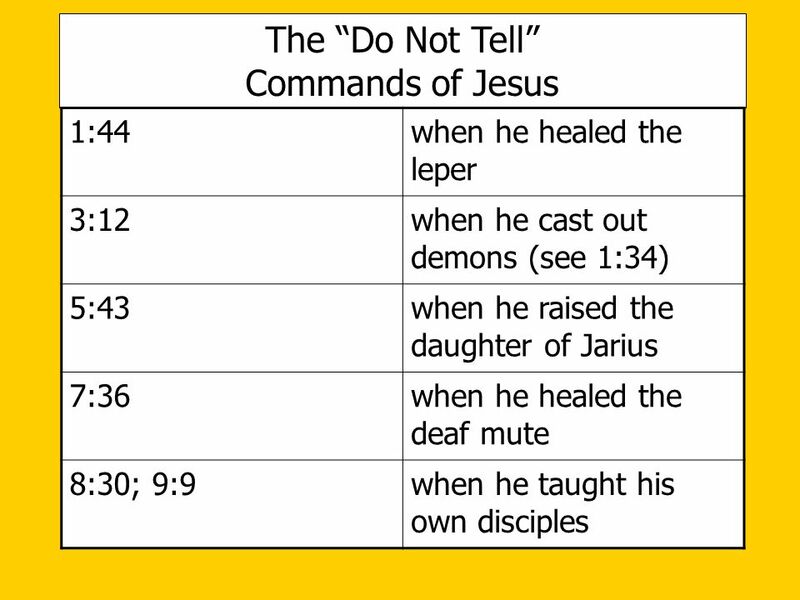 We must listen to Jesus and Jesus only (9:7-8). 3. For those with a great faith, all things are possible to him that believes (9:23). (Remember, “all things” means “all things” within the plan and purpose of God for mankind.) 4. 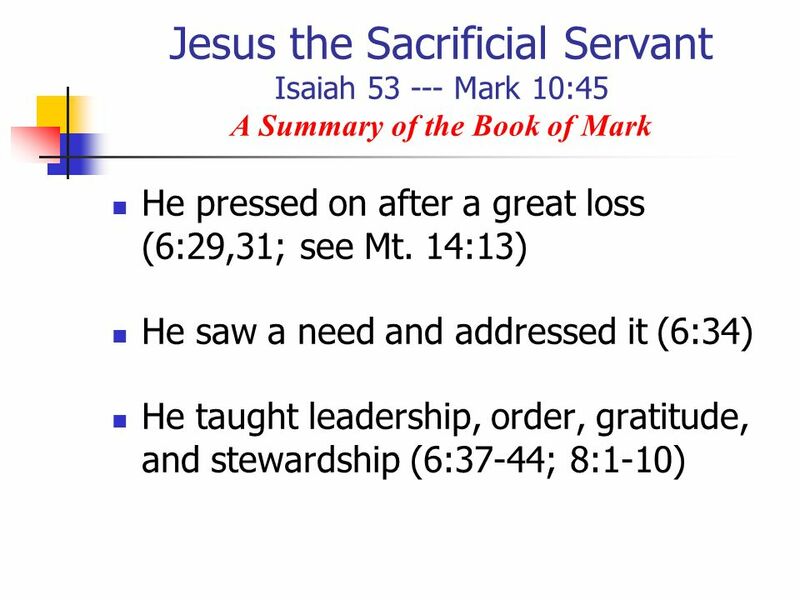 Greatness comes to those who are servants and humble (9:35-36). 5. 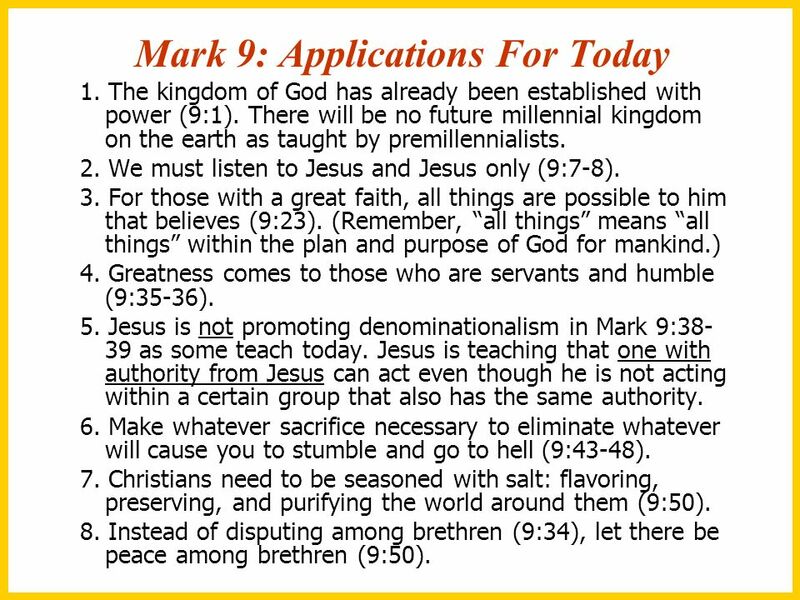 Jesus is not promoting denominationalism in Mark 9:38-39 as some teach today. 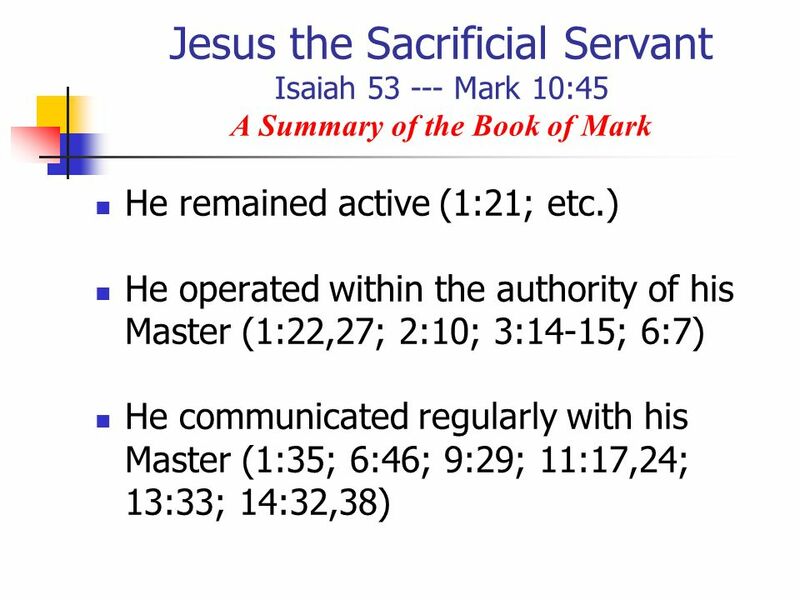 Jesus is teaching that one with authority from Jesus can act even though he is not acting within a certain group that also has the same authority. 6. 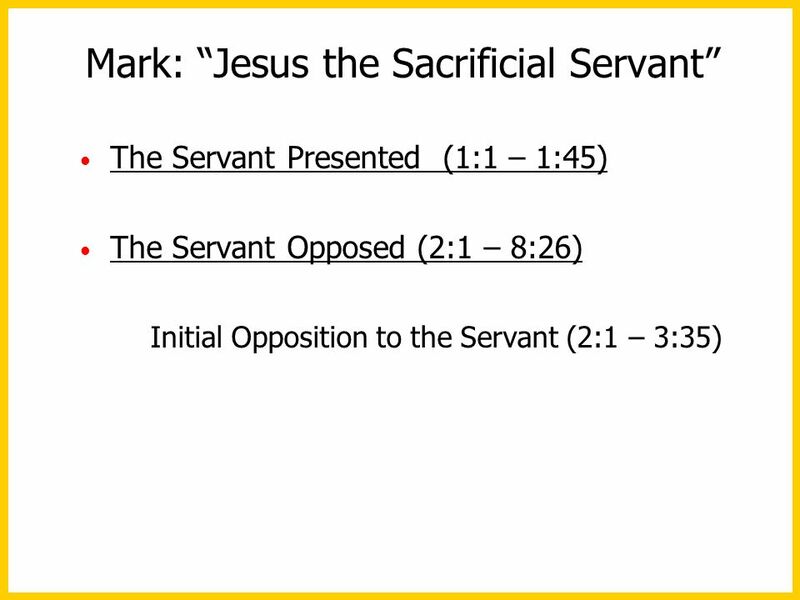 Make whatever sacrifice necessary to eliminate whatever will cause you to stumble and go to hell (9:43-48). 7. Christians need to be seasoned with salt: flavoring, preserving, and purifying the world around them (9:50). 8. Instead of disputing among brethren (9:34), let there be peace among brethren (9:50). 1. Marriage should always be taken seriously. It is a commitment for life that must not be broken (10:9). 2. A humble, obedient, genuine (innocent), child-like faith is required of all disciples of Jesus (10:15). 3. 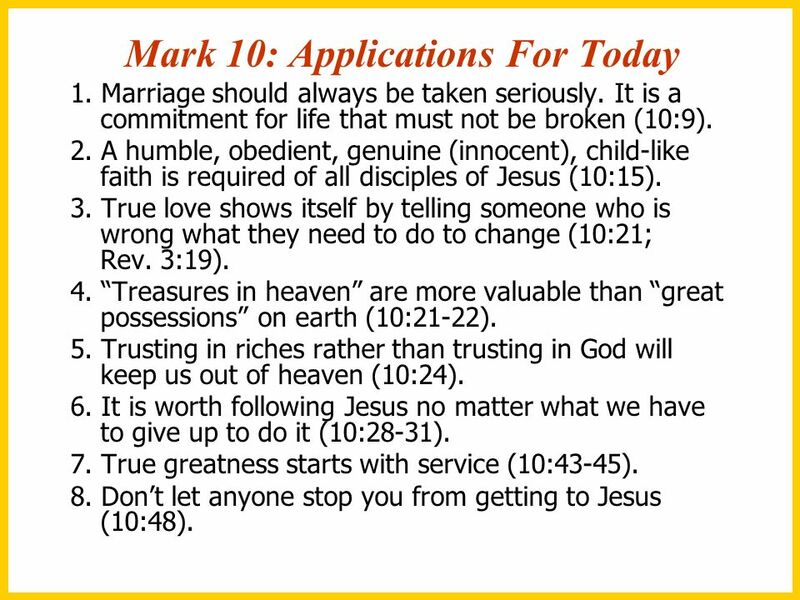 True love shows itself by telling someone who is wrong what they need to do to change (10:21; Rev. 3:19). 4. 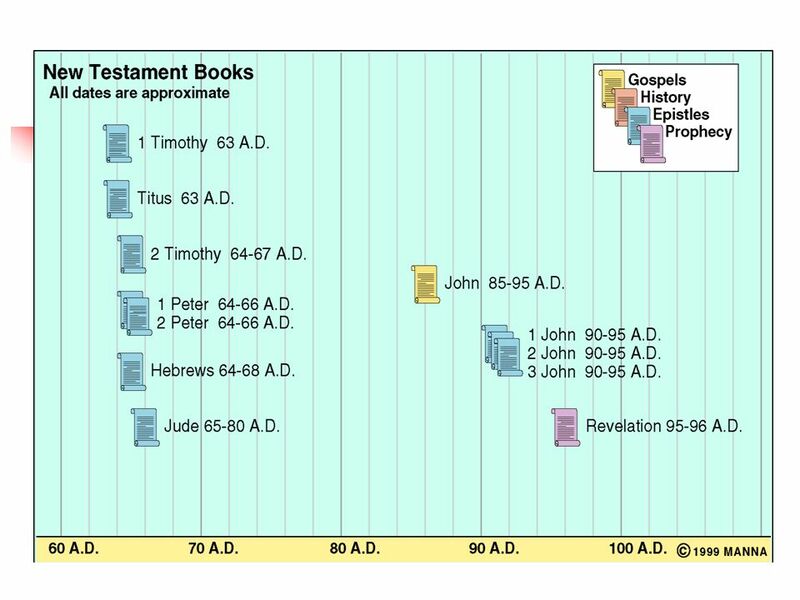 “Treasures in heaven” are more valuable than “great possessions” on earth (10:21-22). 5. Trusting in riches rather than trusting in God will keep us out of heaven (10:24). 6. It is worth following Jesus no matter what we have to give up to do it (10:28-31). 7. 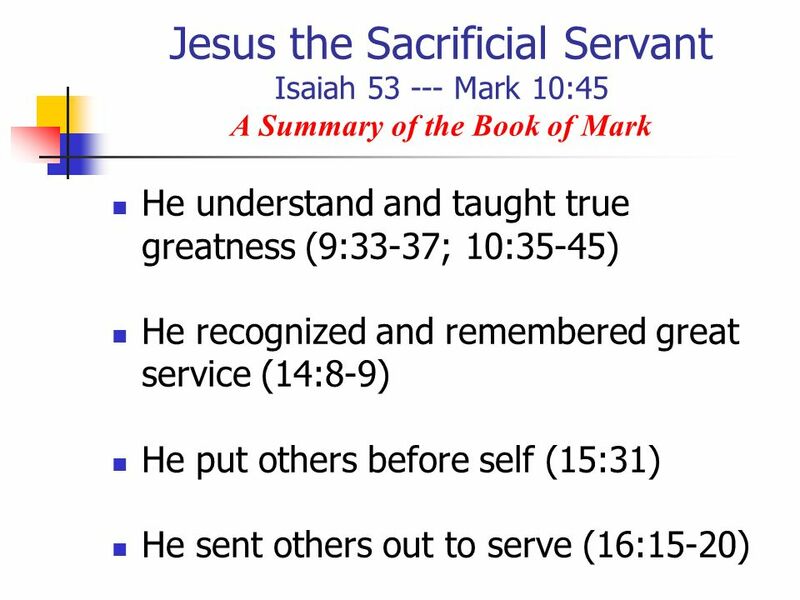 True greatness starts with service (10:43-45). 8. Don’t let anyone stop you from getting to Jesus (10:48). 1. 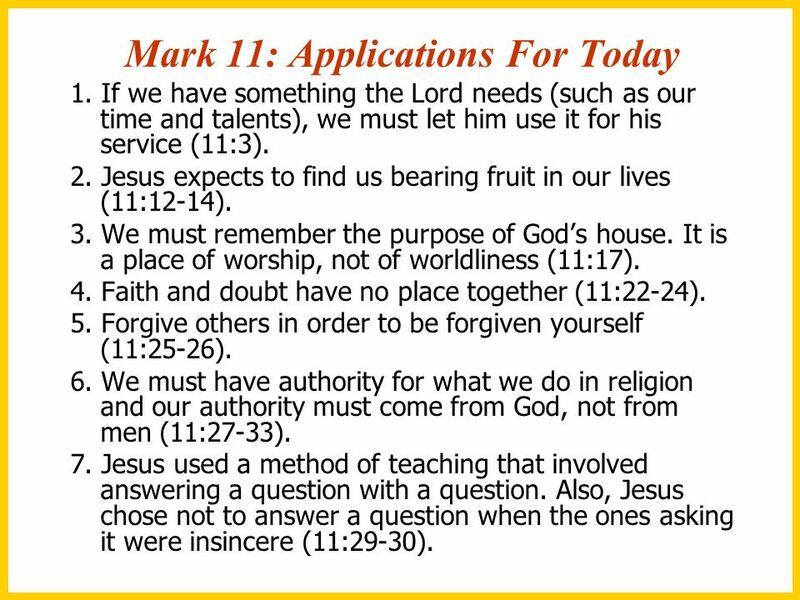 If we have something the Lord needs (such as our time and talents), we must let him use it for his service (11:3). 2. 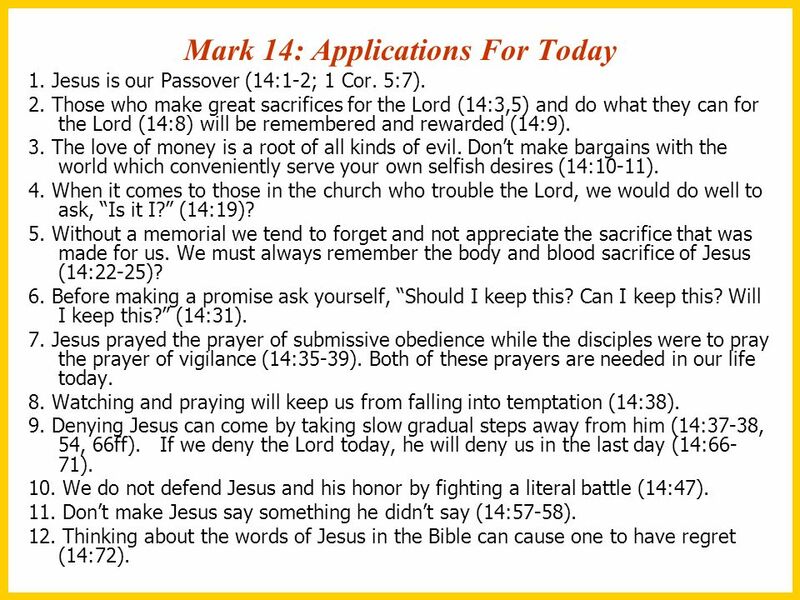 Jesus expects to find us bearing fruit in our lives (11:12-14). 3. 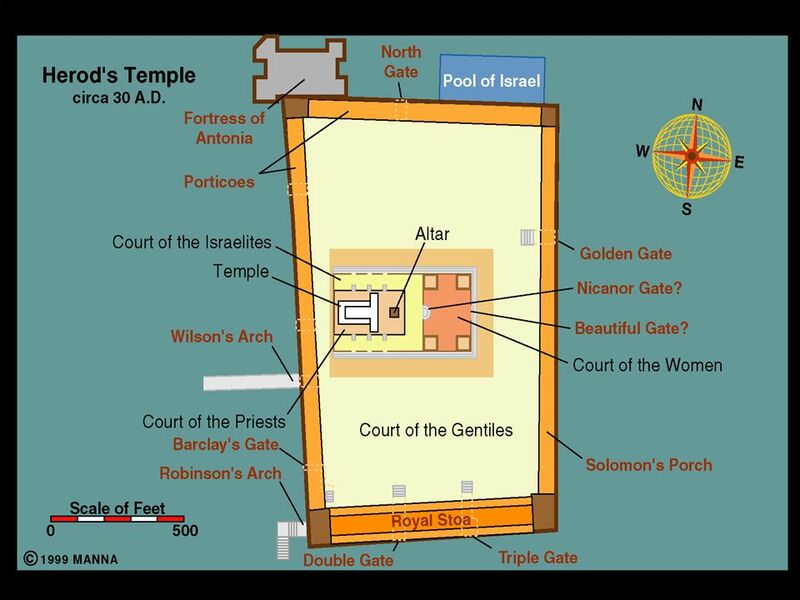 We must remember the purpose of God’s house. It is a place of worship, not of worldliness (11:17). 4. Faith and doubt have no place together (11:22-24). 5. Forgive others in order to be forgiven yourself (11:25-26). 6. We must have authority for what we do in religion and our authority must come from God, not from men (11:27-33). 7. 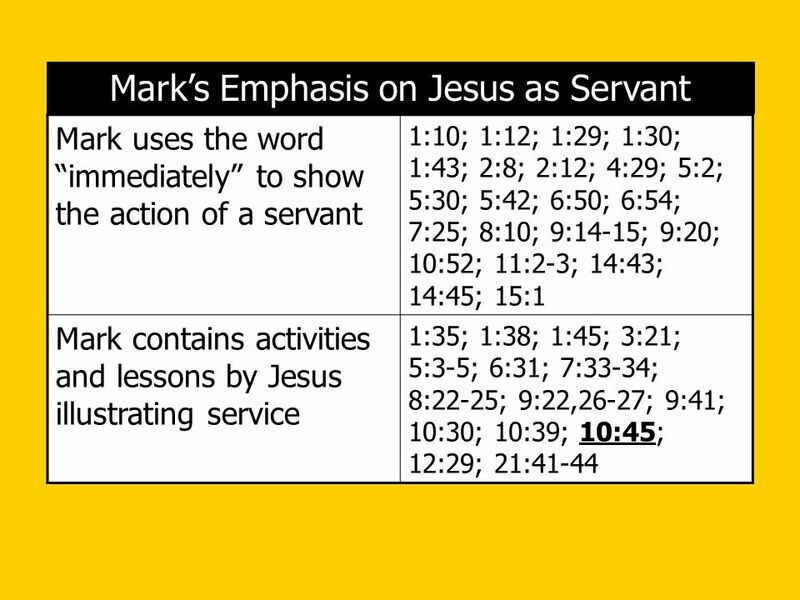 Jesus used a method of teaching that involved answering a question with a question. 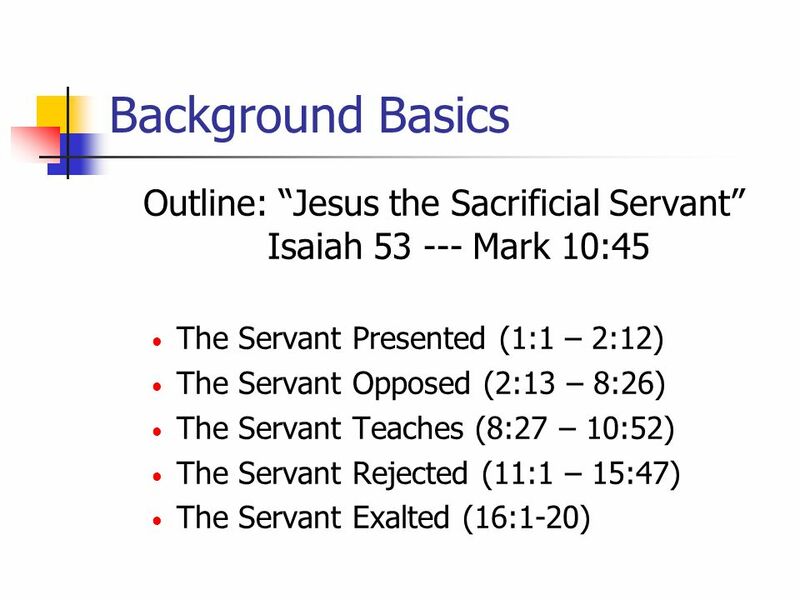 Also, Jesus chose not to answer a question when the ones asking it were insincere (11:29-30). 1. When you reject the blessings of Jesus, he will turn and give those blessing to others who want them (12:9). 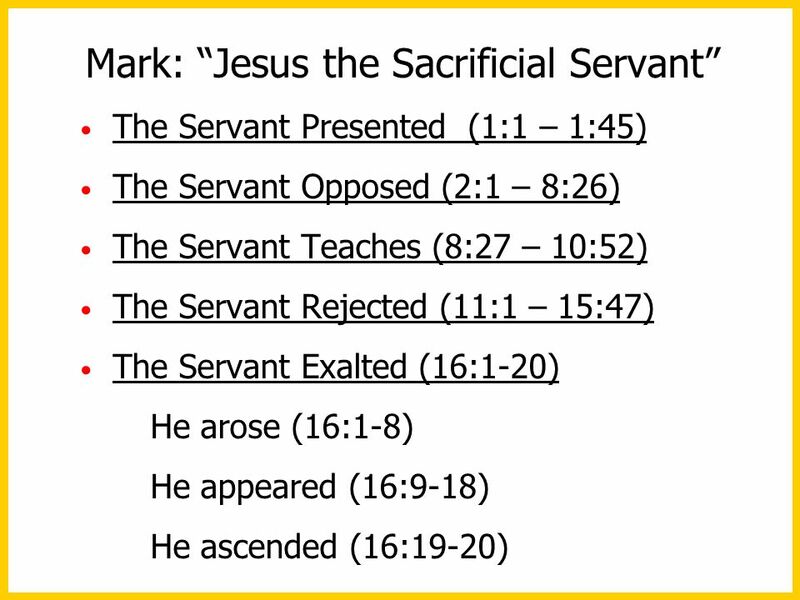 You can reject Jesus, but he will still be the head of the church (12:10-11). 2. 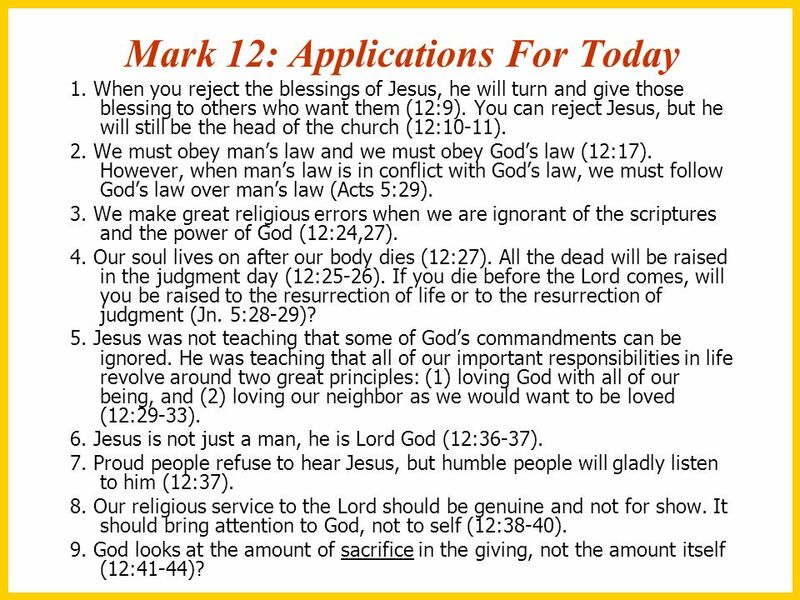 We must obey man’s law and we must obey God’s law (12:17). 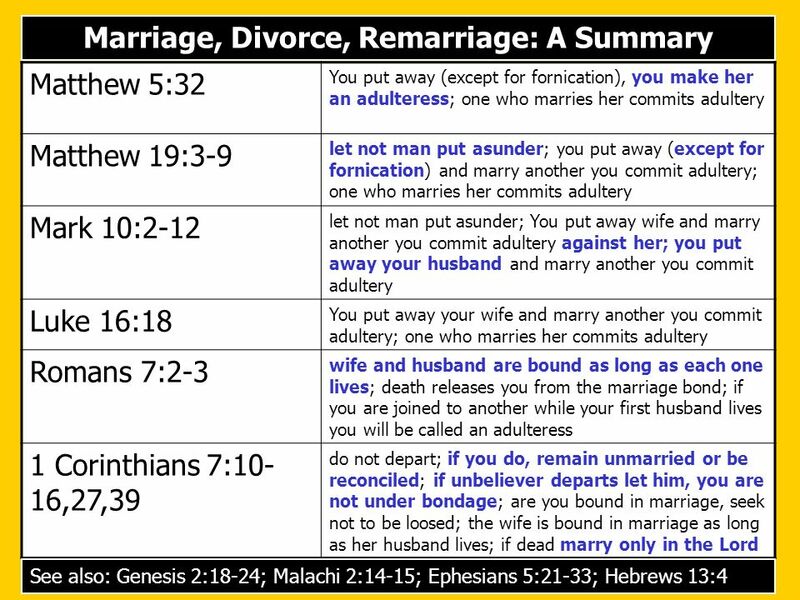 However, when man’s law is in conflict with God’s law, we must follow God’s law over man’s law (Acts 5:29). 3. We make great religious errors when we are ignorant of the scriptures and the power of God (12:24,27). 4. Our soul lives on after our body dies (12:27). 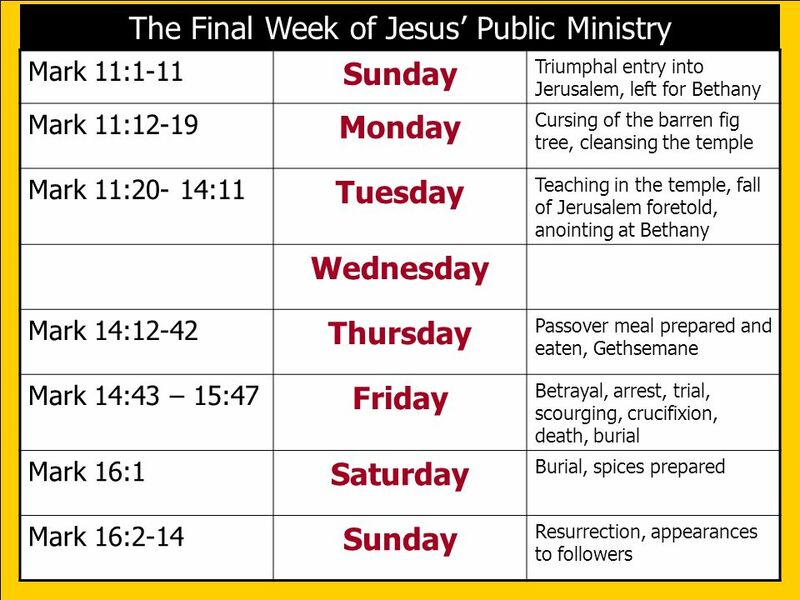 All the dead will be raised in the judgment day (12:25-26). 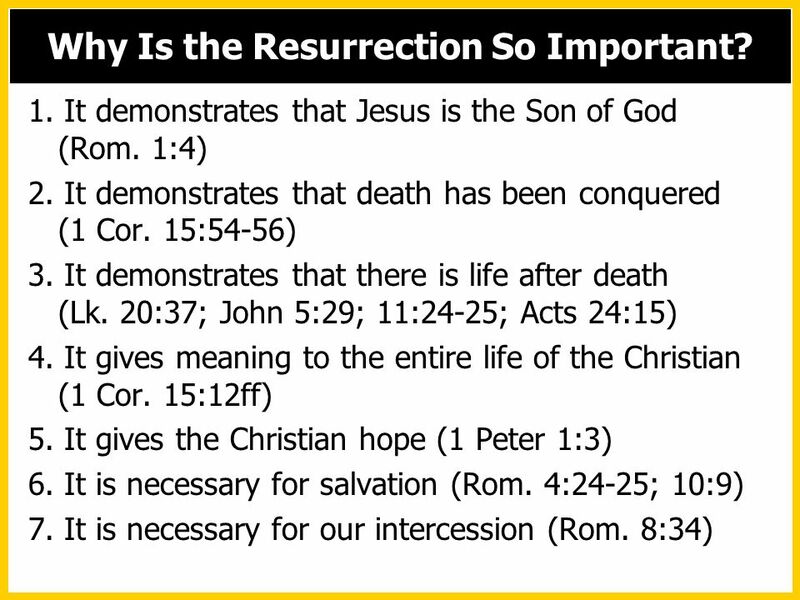 If you die before the Lord comes, will you be raised to the resurrection of life or to the resurrection of judgment (Jn. 5:28-29)? 5. 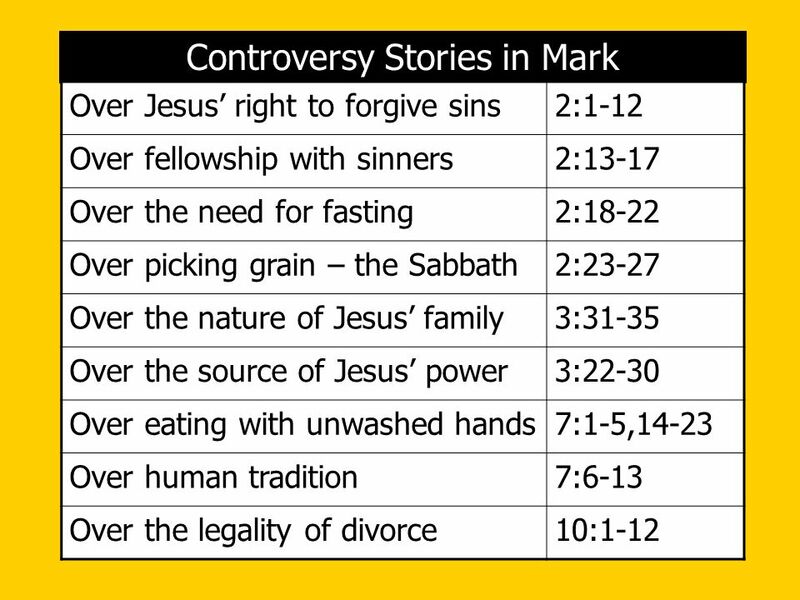 Jesus was not teaching that some of God’s commandments can be ignored. 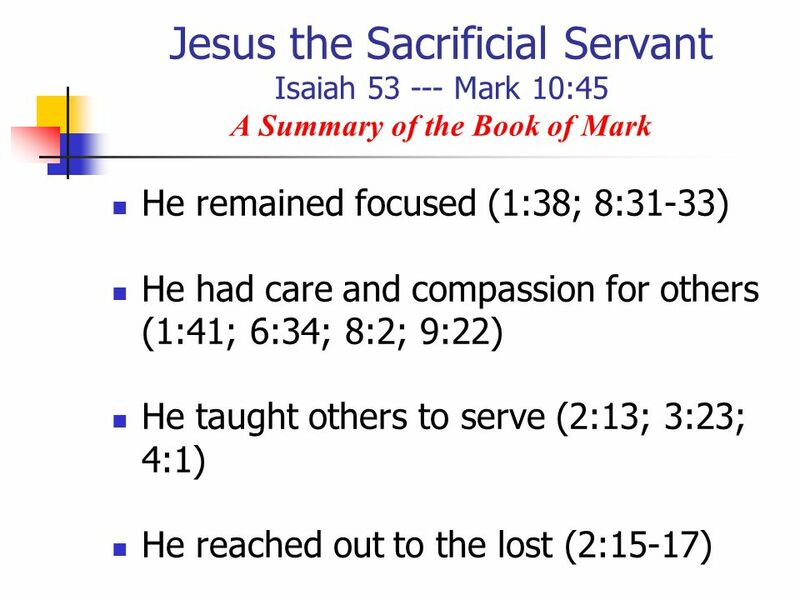 He was teaching that all of our important responsibilities in life revolve around two great principles: (1) loving God with all of our being, and (2) loving our neighbor as we would want to be loved (12:29-33). 6. 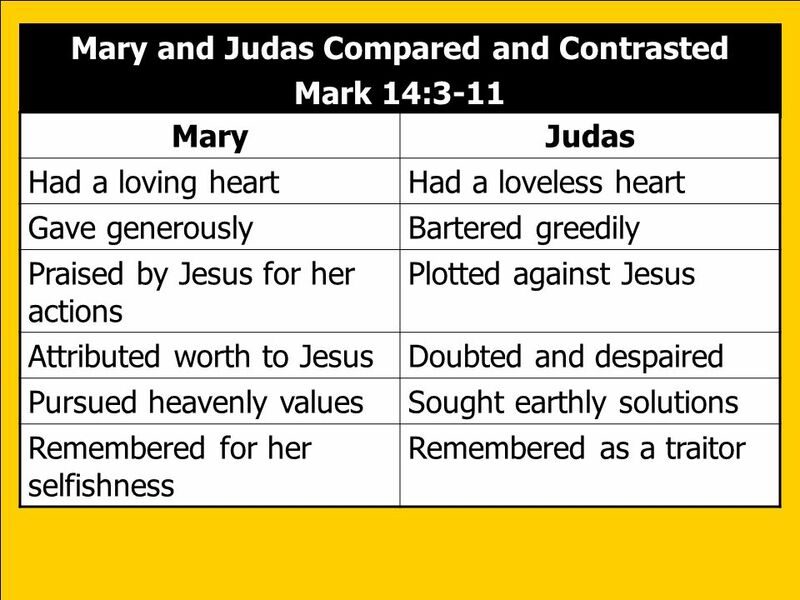 Jesus is not just a man, he is Lord God (12:36-37). 7. Proud people refuse to hear Jesus, but humble people will gladly listen to him (12:37). 8. Our religious service to the Lord should be genuine and not for show. It should bring attention to God, not to self (12:38-40). 9. 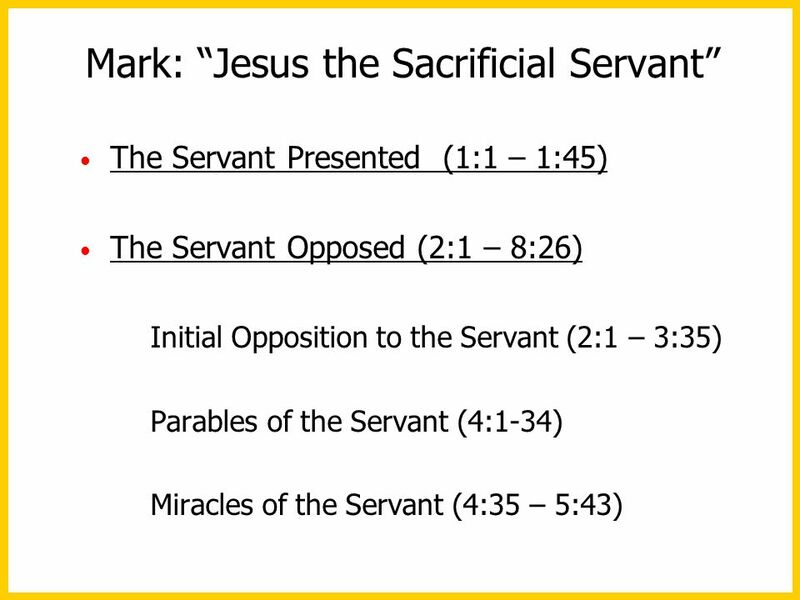 God looks at the amount of sacrifice in the giving, not the amount itself (12:41-44)? 1. The Lord said “take heed” and forewarned of the dangers that lie ahead in life. 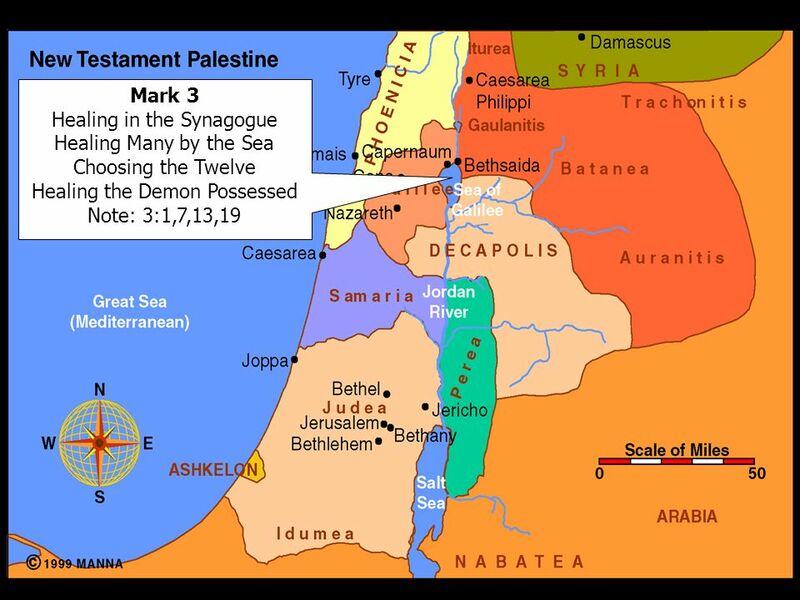 To be forewarned is to be forearmed (13:5,9,23). 2. 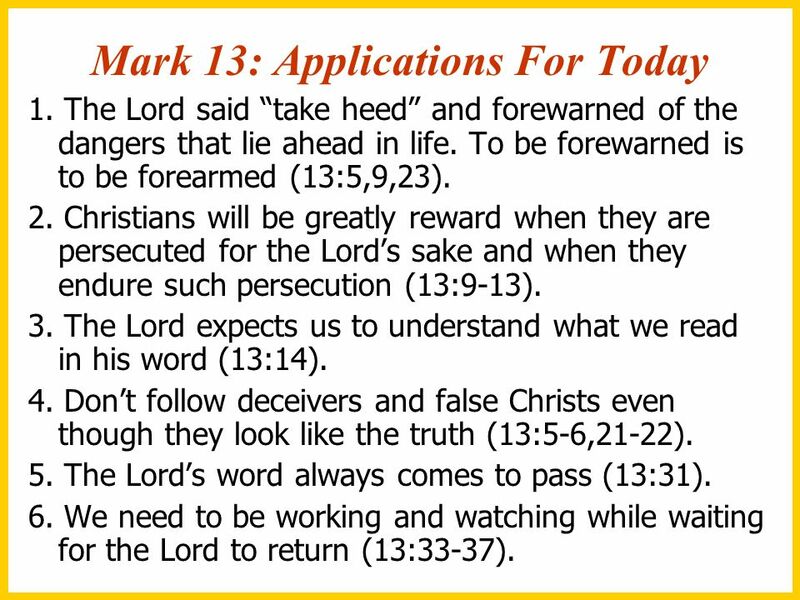 Christians will be greatly reward when they are persecuted for the Lord’s sake and when they endure such persecution (13:9-13). 3. The Lord expects us to understand what we read in his word (13:14). 4. 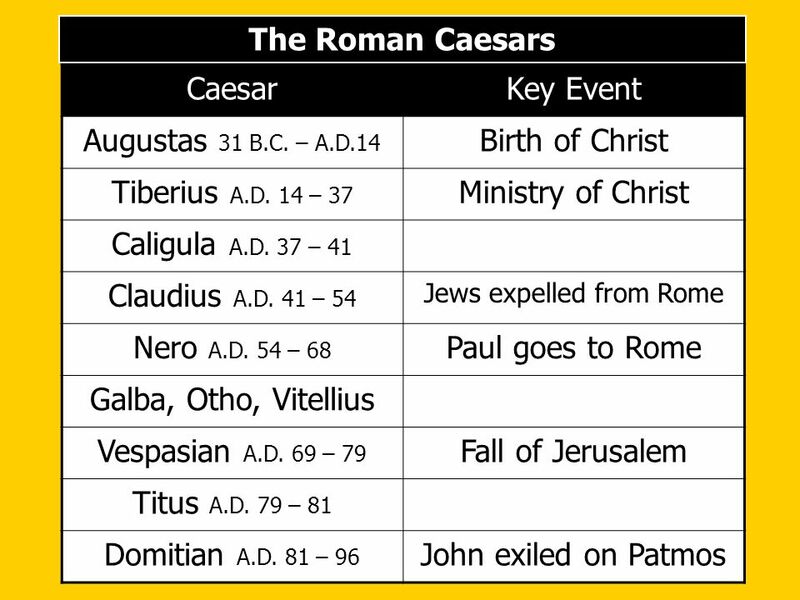 Don’t follow deceivers and false Christs even though they look like the truth (13:5-6,21-22). 5. The Lord’s word always comes to pass (13:31). 6. We need to be working and watching while waiting for the Lord to return (13:33-37). 1. 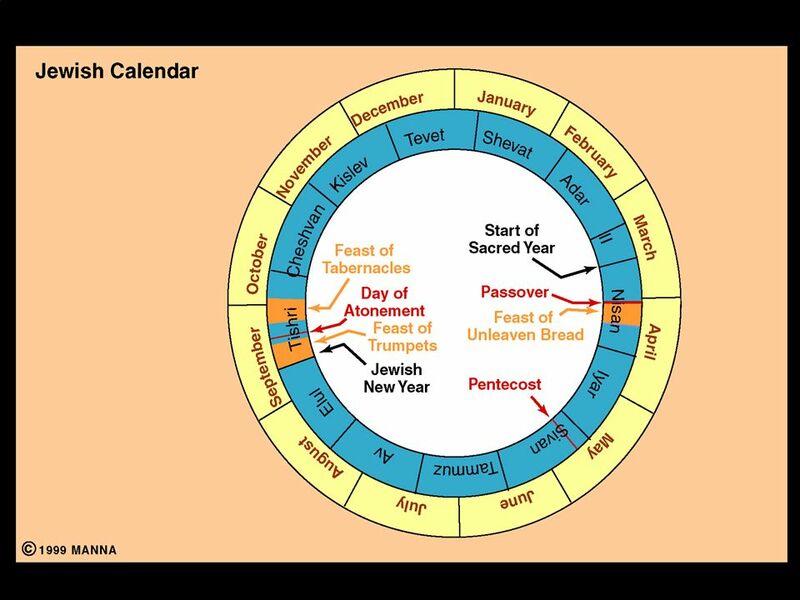 Jesus is our Passover (14:1-2; 1 Cor. 5:7). 2. 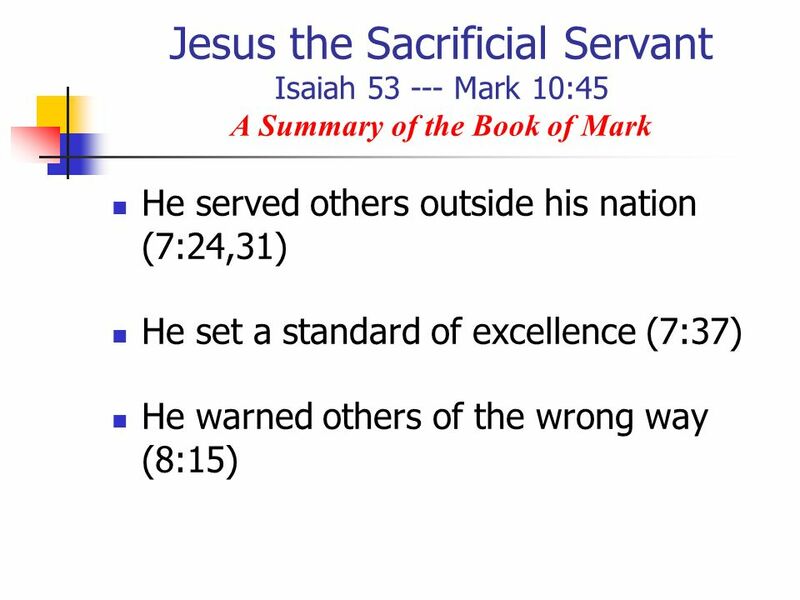 Those who make great sacrifices for the Lord (14:3,5) and do what they can for the Lord (14:8) will be remembered and rewarded (14:9). 3. The love of money is a root of all kinds of evil. Don’t make bargains with the world which conveniently serve your own selfish desires (14:10-11). 4. When it comes to those in the church who trouble the Lord, we would do well to ask, “Is it I?” (14:19)? 5. Without a memorial we tend to forget and not appreciate the sacrifice that was made for us. 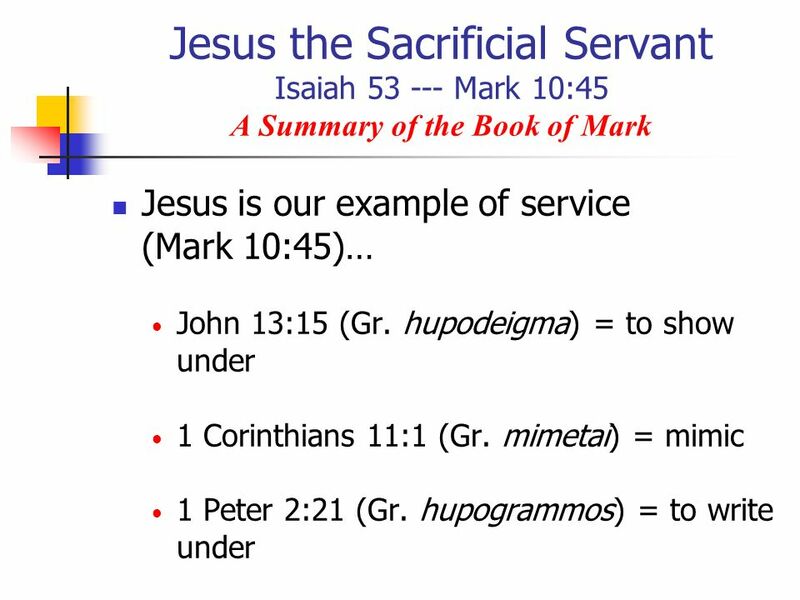 We must always remember the body and blood sacrifice of Jesus (14:22-25)? 6. Before making a promise ask yourself, “Should I keep this? Can I keep this? Will I keep this?” (14:31). 7. 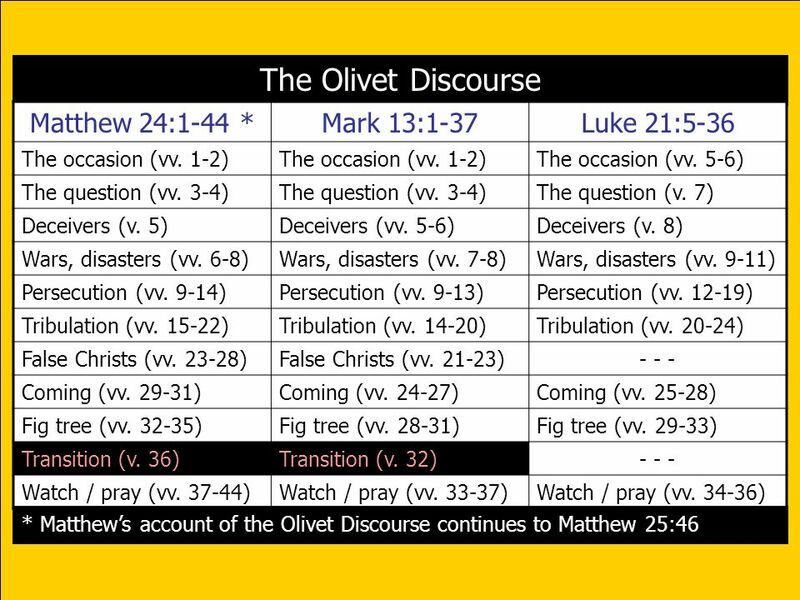 Jesus prayed the prayer of submissive obedience while the disciples were to pray the prayer of vigilance (14:35-39). Both of these prayers are needed in our life today. 8. Watching and praying will keep us from falling into temptation (14:38). 9. 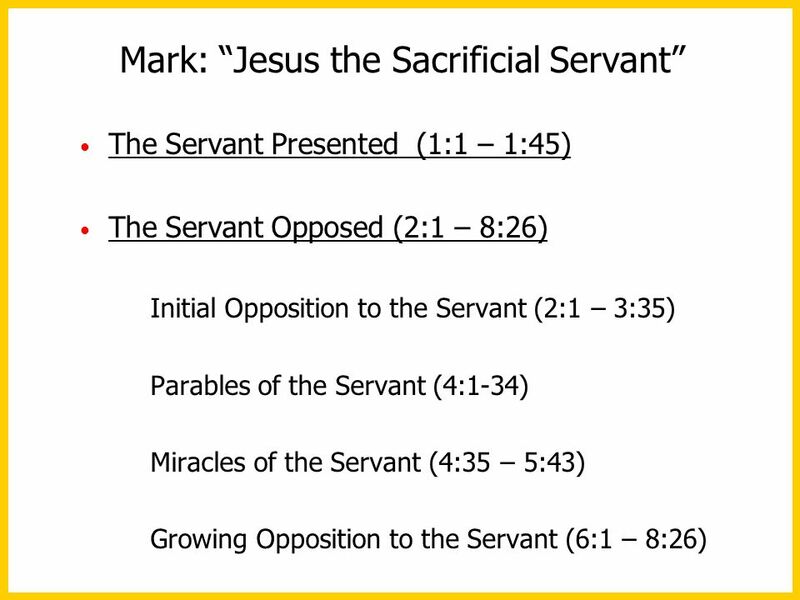 Denying Jesus can come by taking slow gradual steps away from him (14:37-38, 54, 66ff). 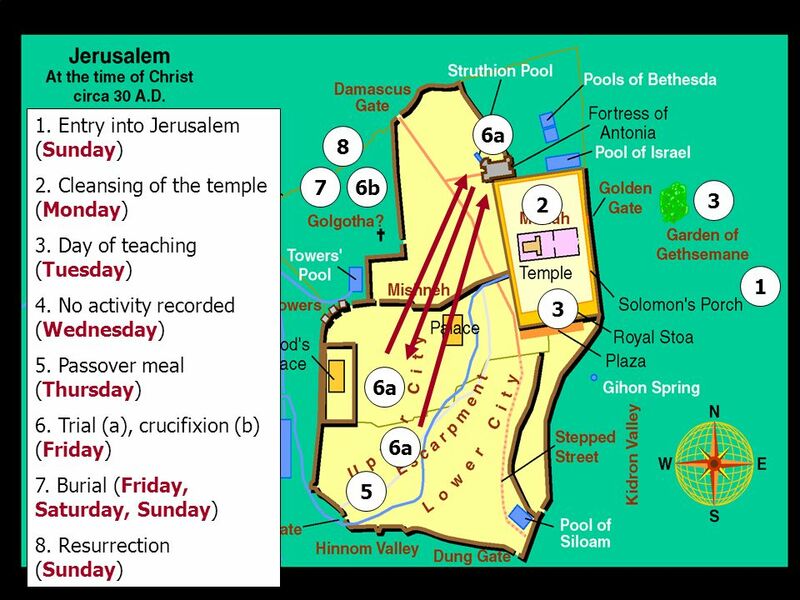 If we deny the Lord today, he will deny us in the last day (14:66-71). 10. 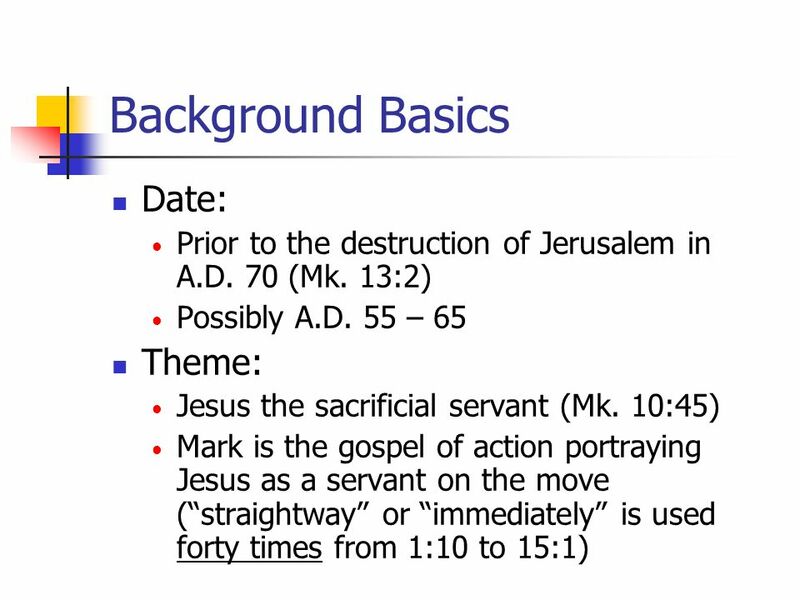 We do not defend Jesus and his honor by fighting a literal battle (14:47). 11. 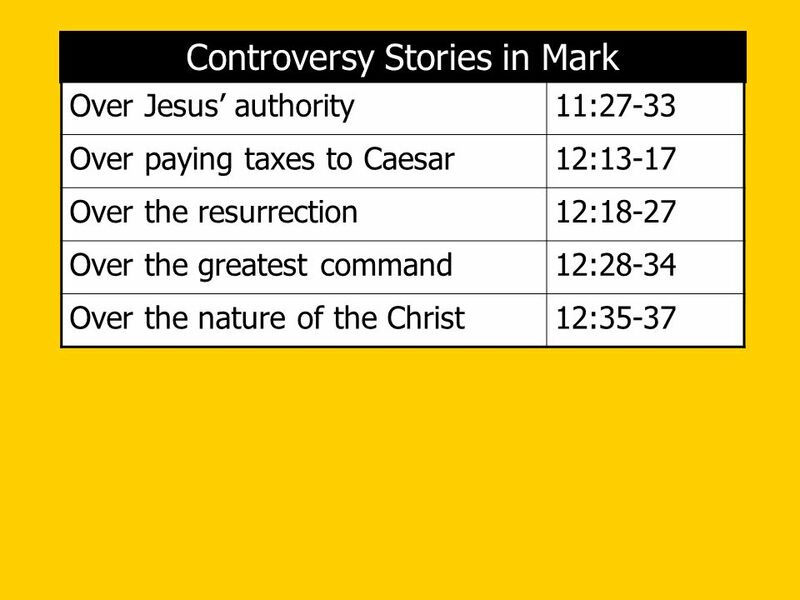 Don’t make Jesus say something he didn’t say (14:57-58). 12. Thinking about the words of Jesus in the Bible can cause one to have regret (14:72). 1. 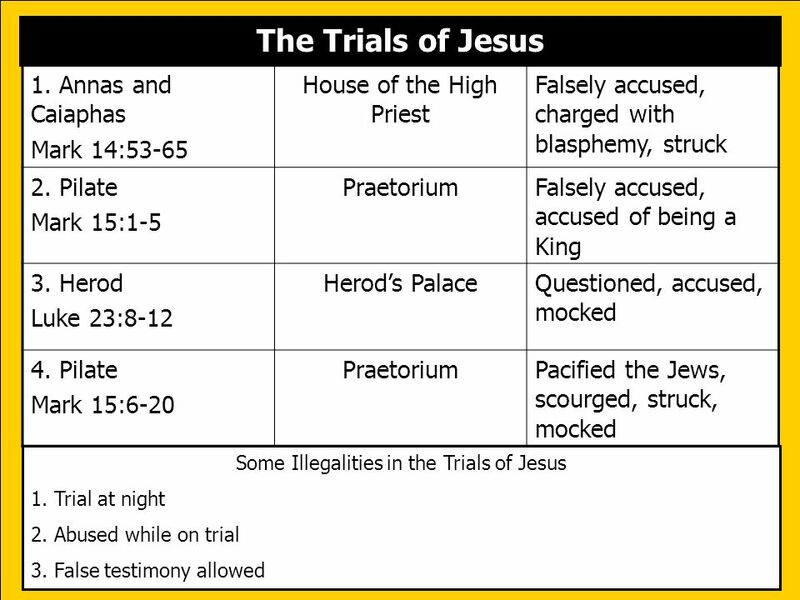 Jesus is King of kings and Lord of lords (15:2,12,26). 2. 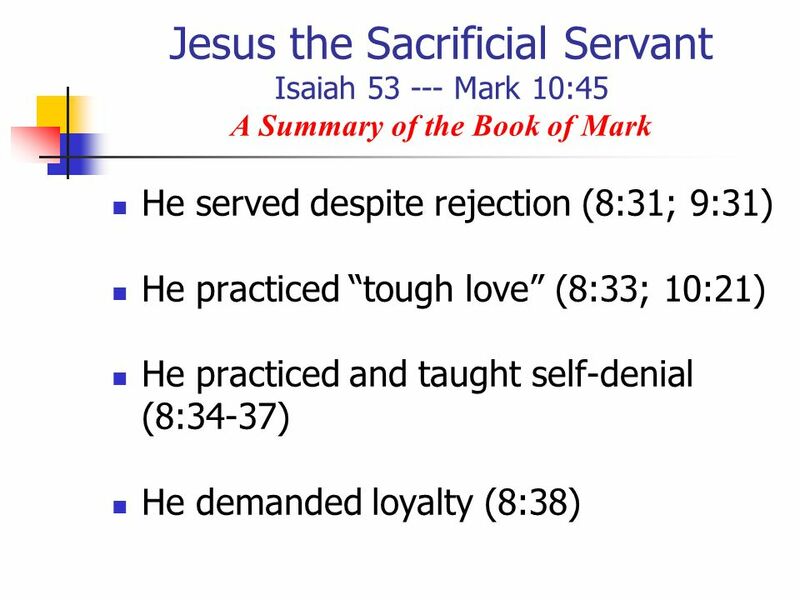 Jesus was tortured emotionally and physically before even going to the cross (15:15-20). May we never forget the great sacrifice of Jesus on our behalf! 3. 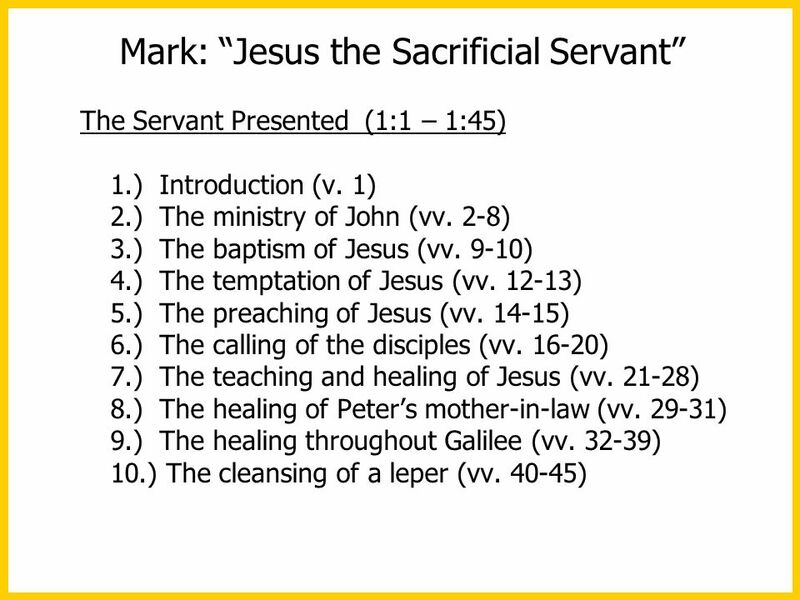 What will you do with Jesus (15:15)? Do not be weak like Pilate! 4. It is possible for some to pretend to worship and honor Jesus (15:19). 5. 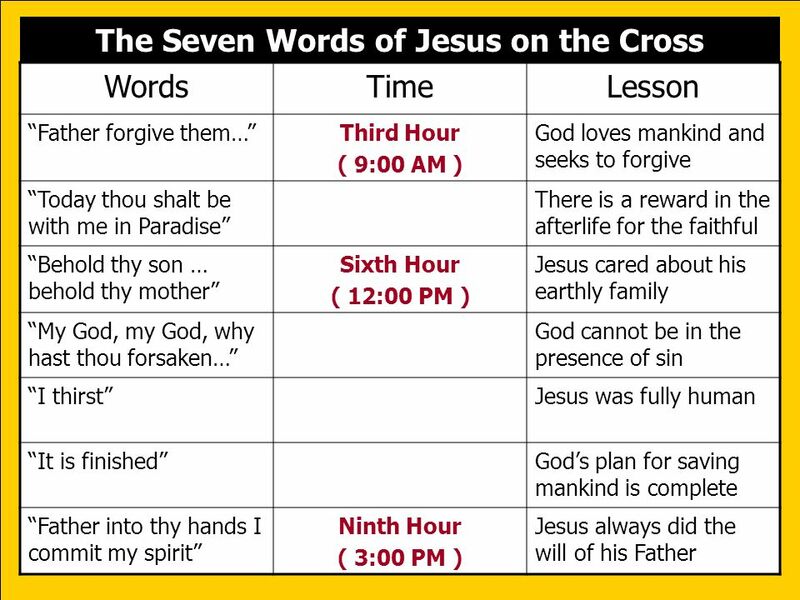 Must Jesus bear his cross alone (15:21)? We must bear the cross of Jesus (Heb. 13:13). 6. 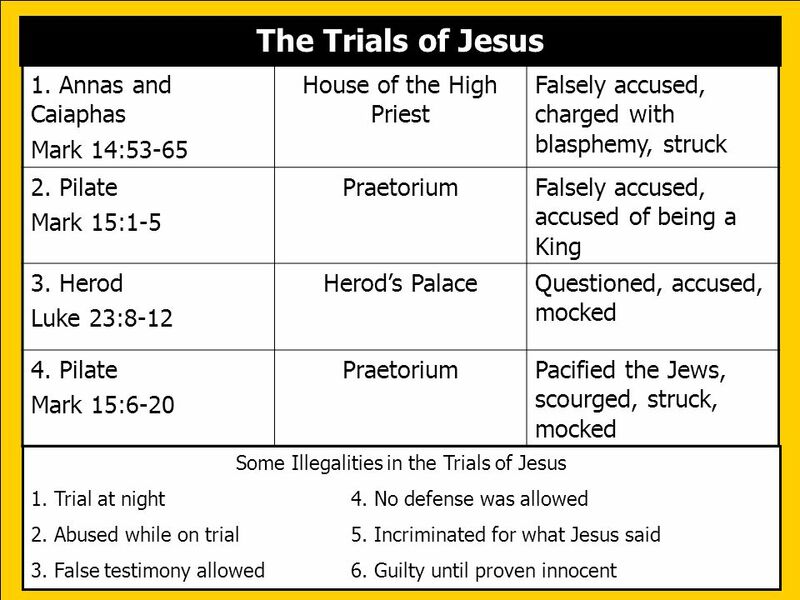 Jesus was crucified to save mankind from sin. 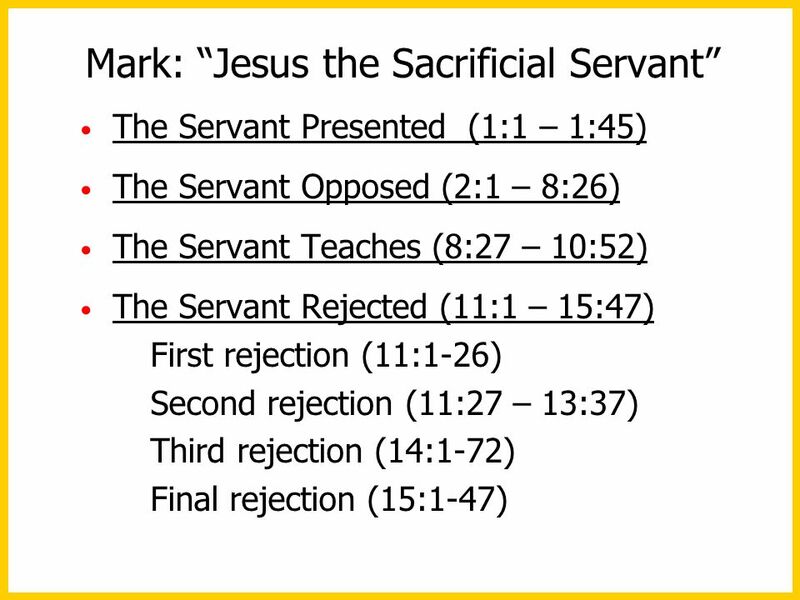 What was said as a mock, “He saved others…,” was actually the truth (15:31). 7. 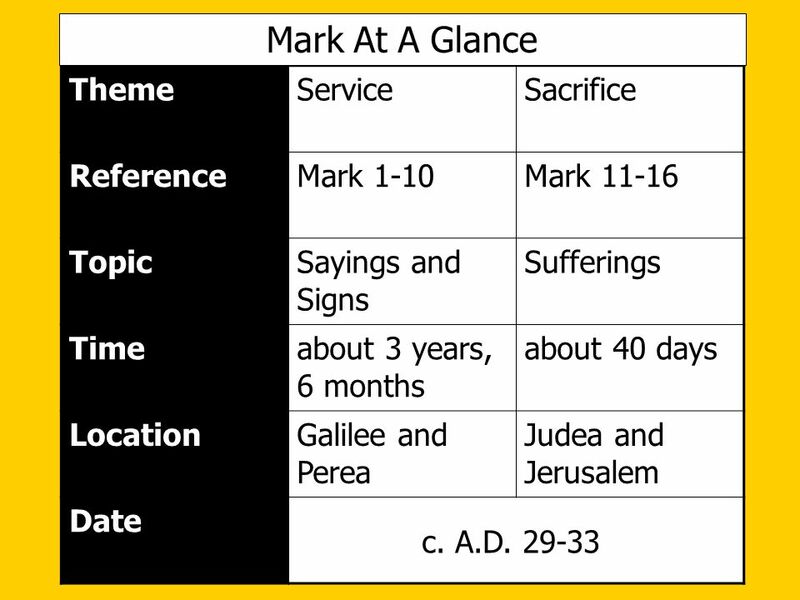 Jesus’ death gave all mankind access to God (15:38; Heb. 9:7-8,24; 10:19-21). 8. 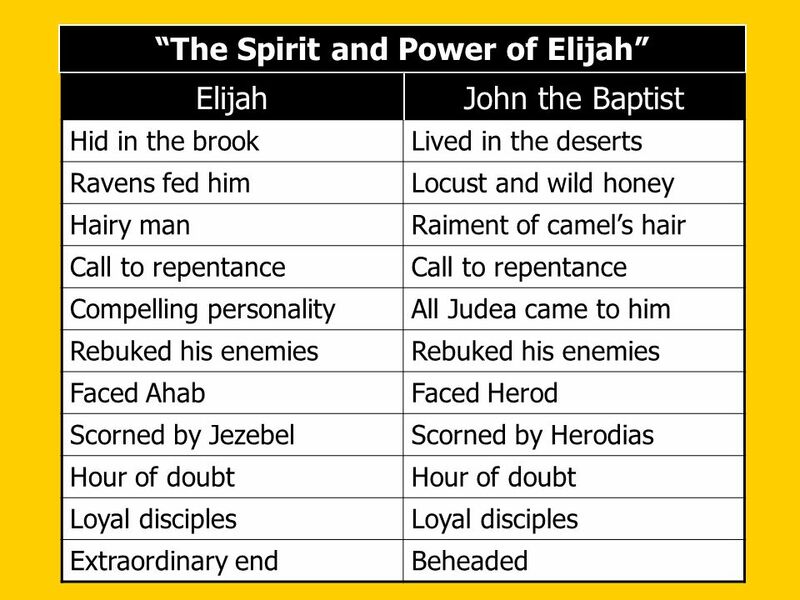 Truth often comes from those whom you would least expect (15:39). 9. 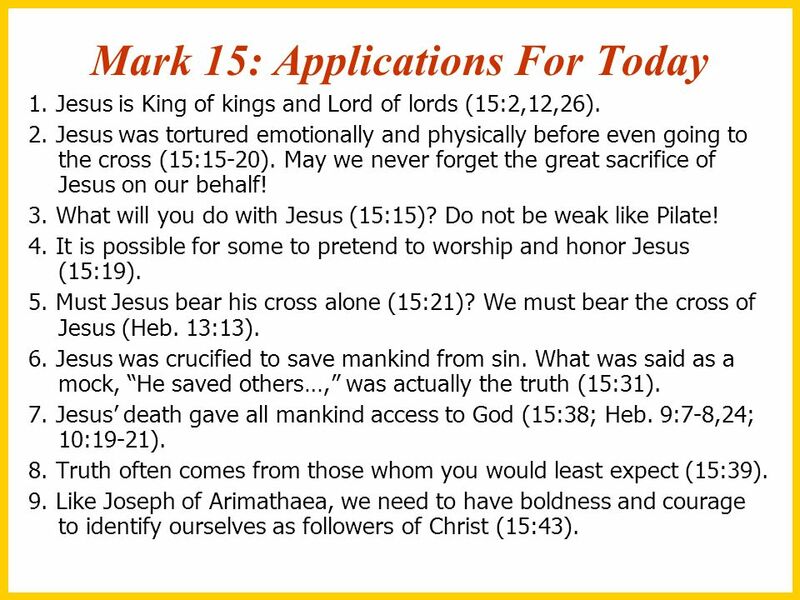 Like Joseph of Arimathaea, we need to have boldness and courage to identify ourselves as followers of Christ (15:43). 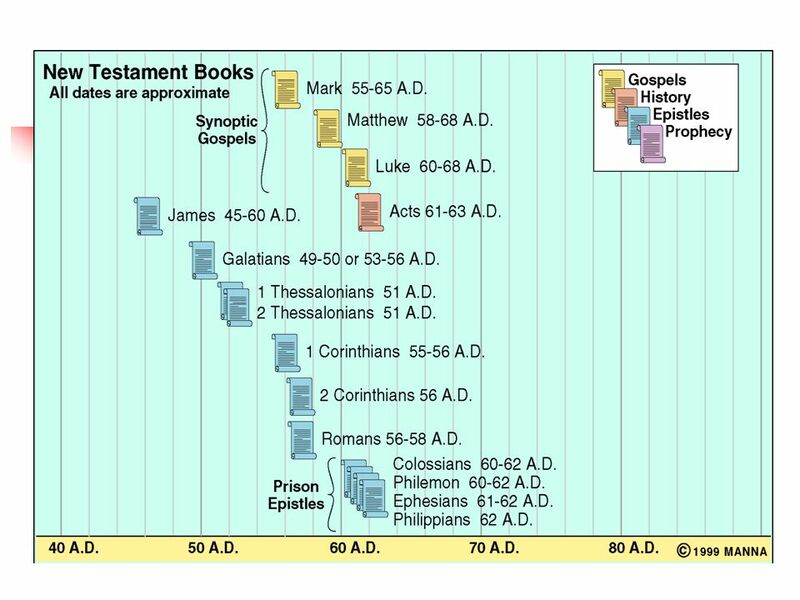 90 Why Is the Resurrection So Important? 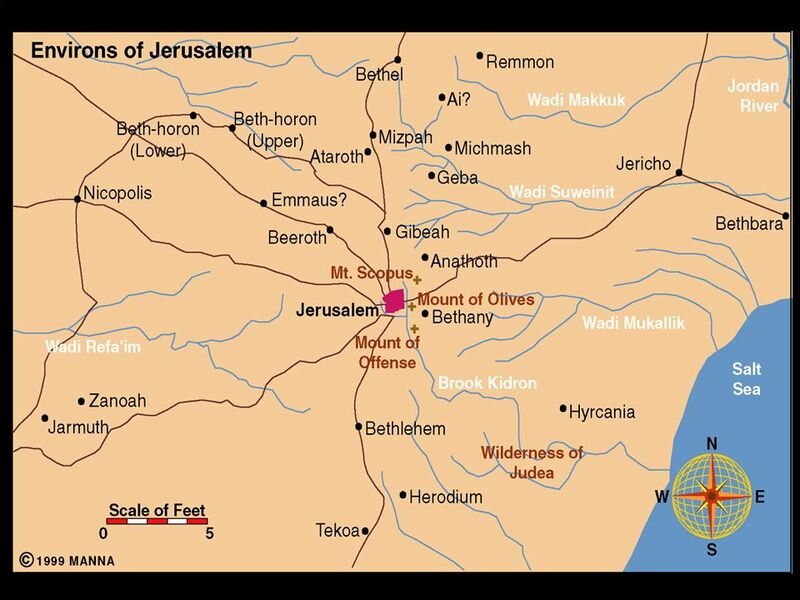 Matthew 28:1-20; Mark 16:1-20; Luke 24:1-53; John 20:1 – 21:23; Acts 1:1-10; 1 Corinthians 1:-11 Appearance Lesson 7. 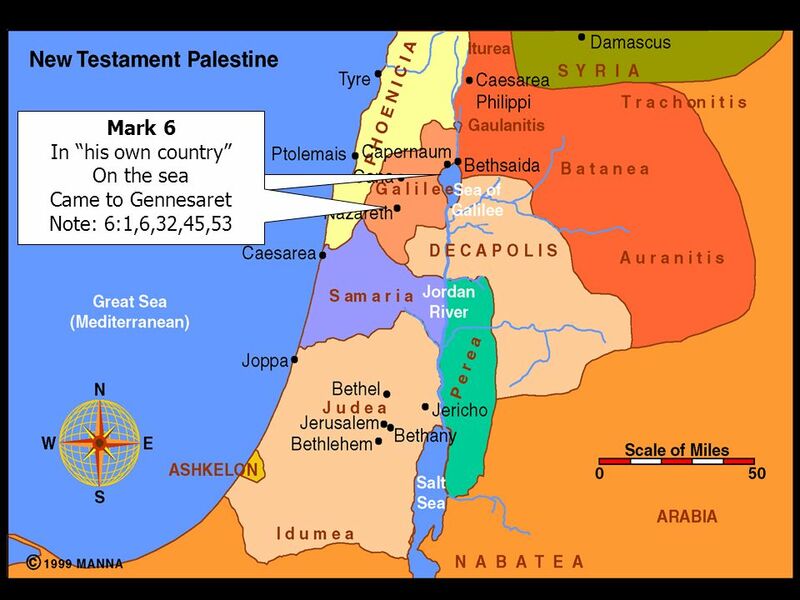 Seven disciples on the Sea of Galilee, Peter in particular, John 21:1-23 Following Jesus involves genuine love and focusing on your own responsibilities 8. 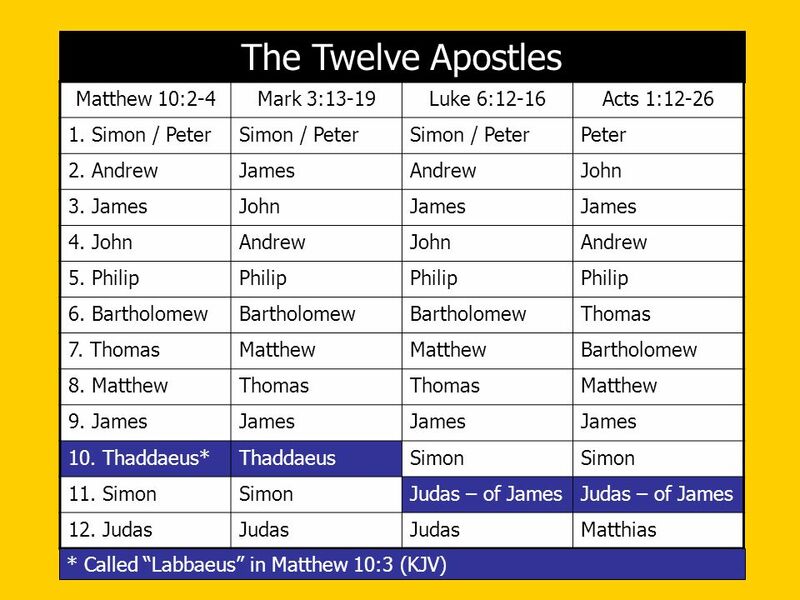 Eleven disciples, Matthew 28:16-20 The Lord’s work is not finished – go into all the world and preach the gospel 9. 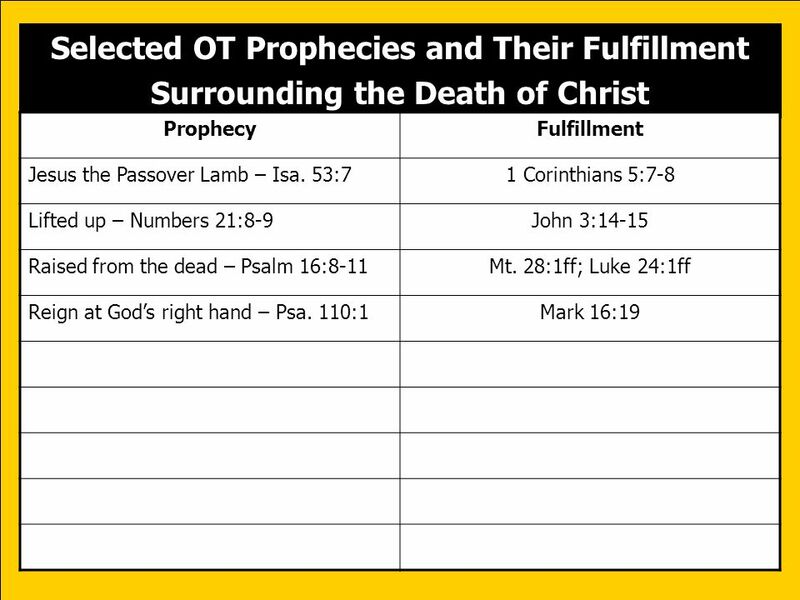 Five hundred brethren at once, Corinthians 15:6 Five hundred eyewitness confirmed the truthfulness of the resurrection 10. 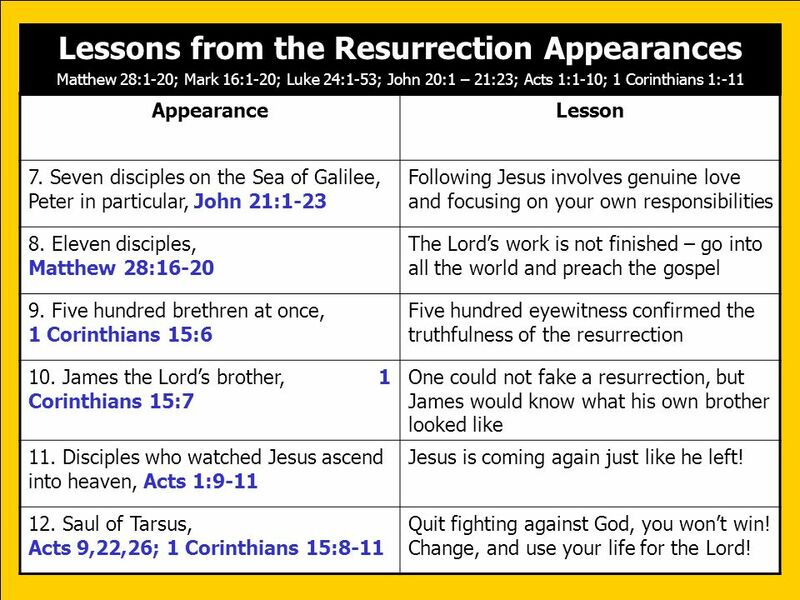 James the Lord’s brother, Corinthians 15:7 One could not fake a resurrection, but James would know what his own brother looked like 11. 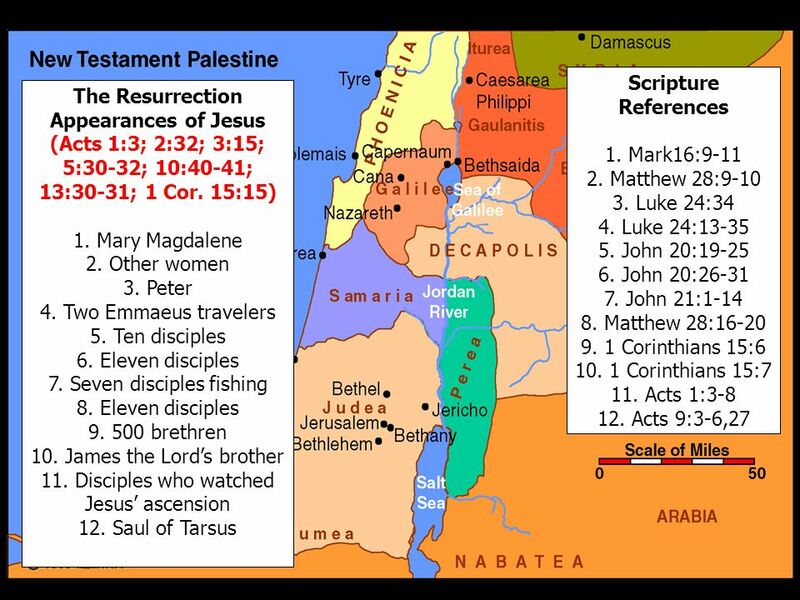 Disciples who watched Jesus ascend into heaven, Acts 1:9-11 Jesus is coming again just like he left! 12. 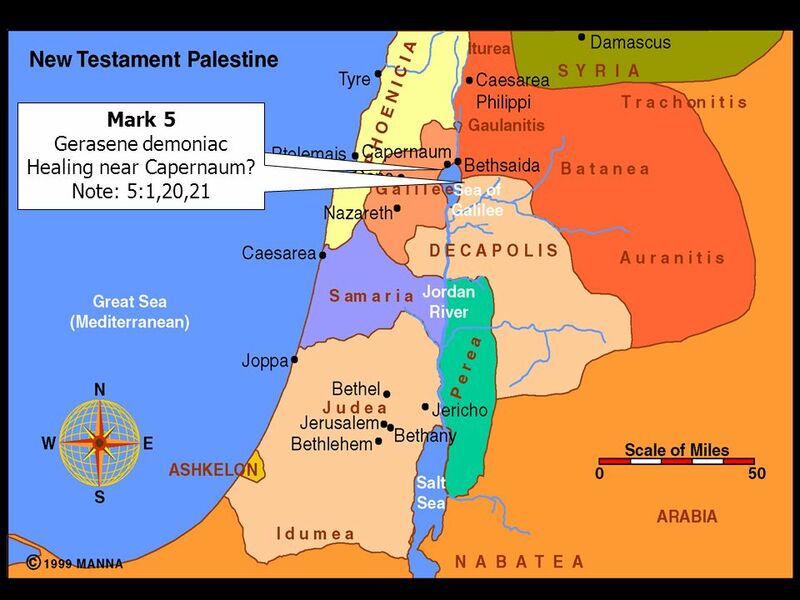 Saul of Tarsus, Acts 9,22,26; 1 Corinthians 15:8-11 Quit fighting against God, you won’t win! Change, and use your life for the Lord! 1. 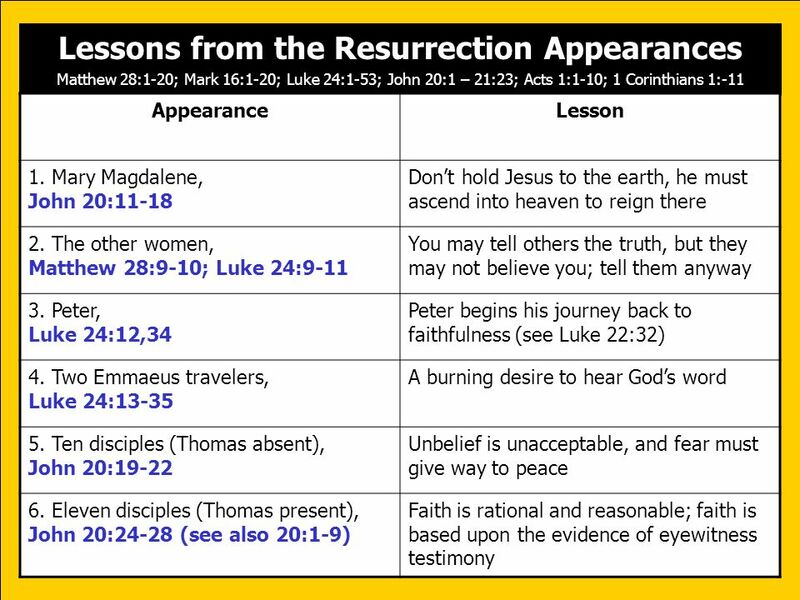 We are expected to believe the eyewitness testimony of the resurrection of Jesus (16:11,13,14). 2. 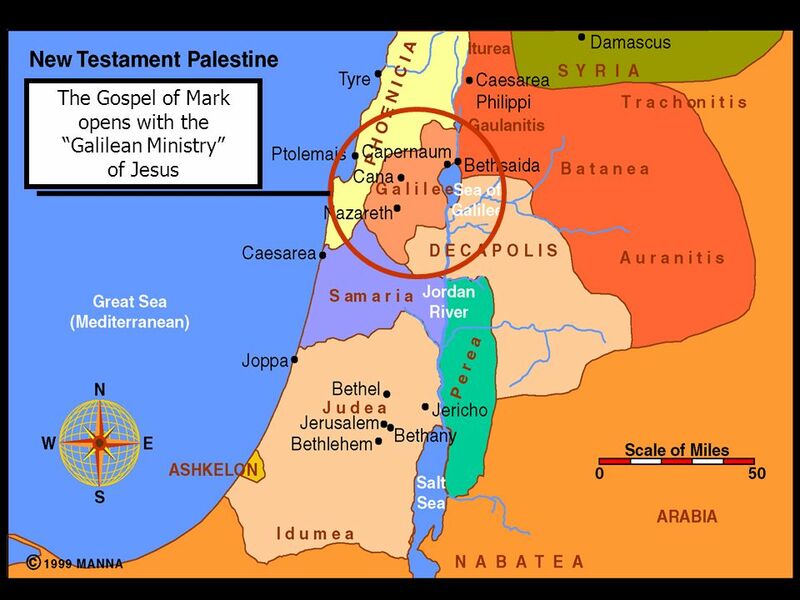 The “Great Commission” is still for us today. Let us continue to take the gospel into all the world (16:15). 3. 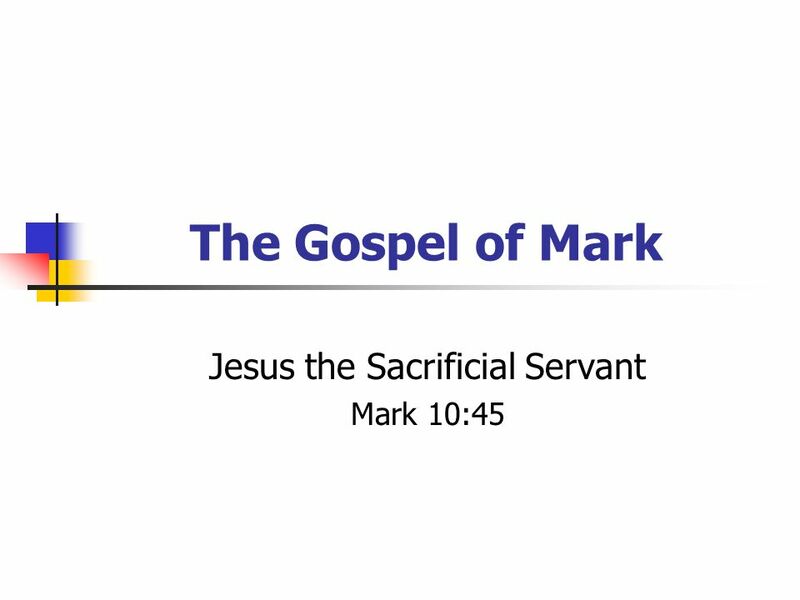 The choice is simple: believe the gospel and receive salvation or disbelieve the gospel and receive condemnation (16:16). 4. 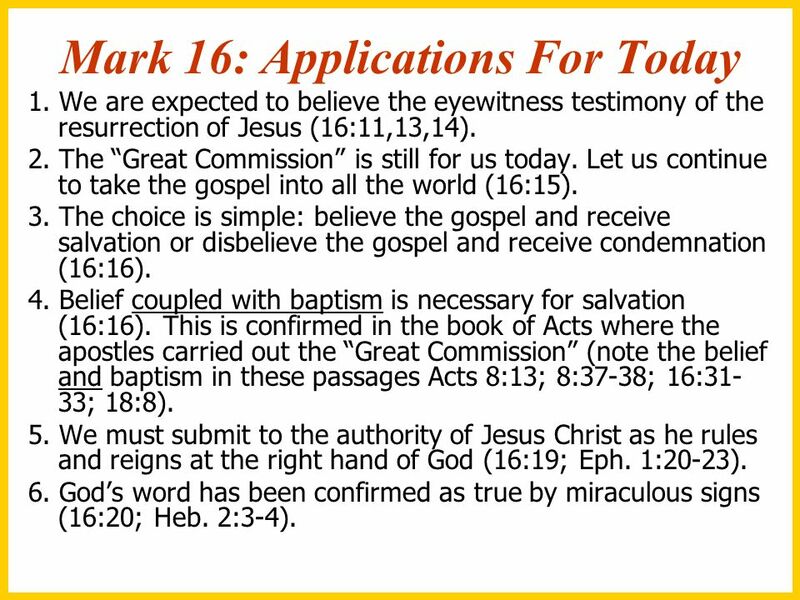 Belief coupled with baptism is necessary for salvation (16:16). This is confirmed in the book of Acts where the apostles carried out the “Great Commission” (note the belief and baptism in these passages Acts 8:13; 8:37-38; 16:31-33; 18:8). 5. 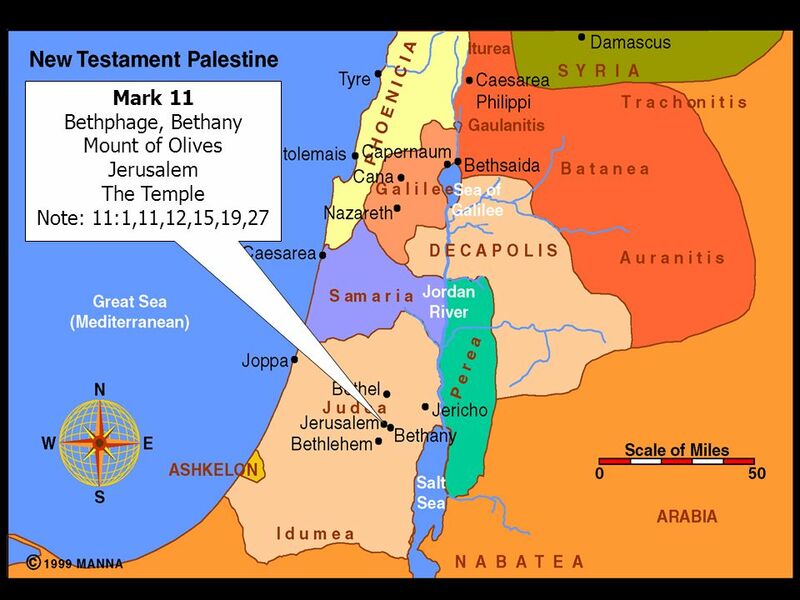 We must submit to the authority of Jesus Christ as he rules and reigns at the right hand of God (16:19; Eph. 1:20-23). 6. 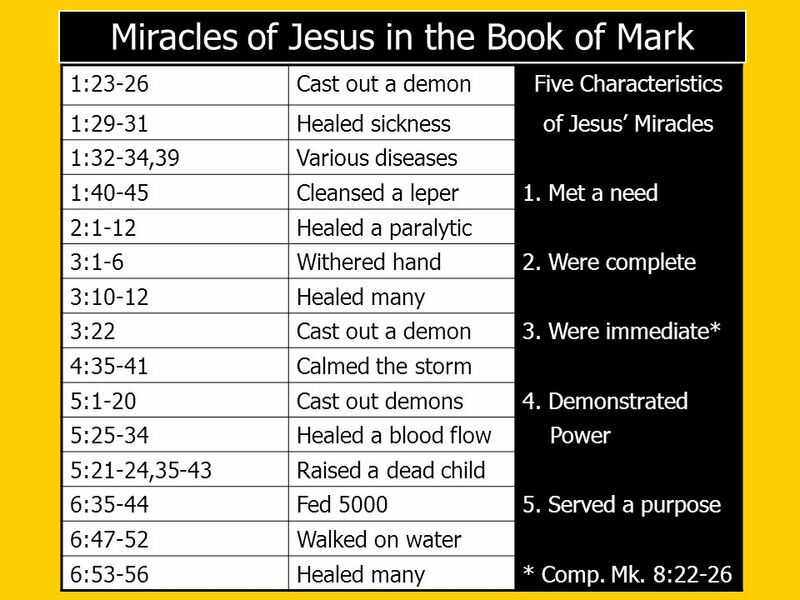 God’s word has been confirmed as true by miraculous signs (16:20; Heb. 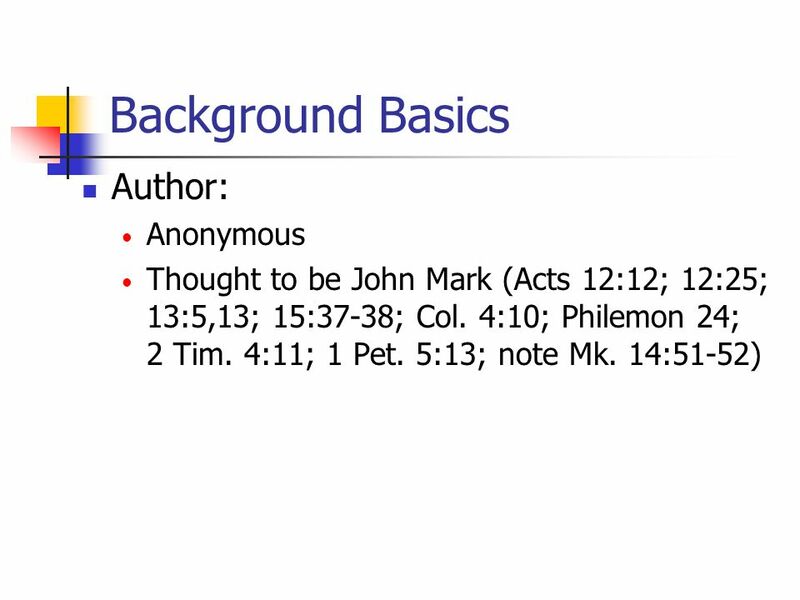 2:3-4). 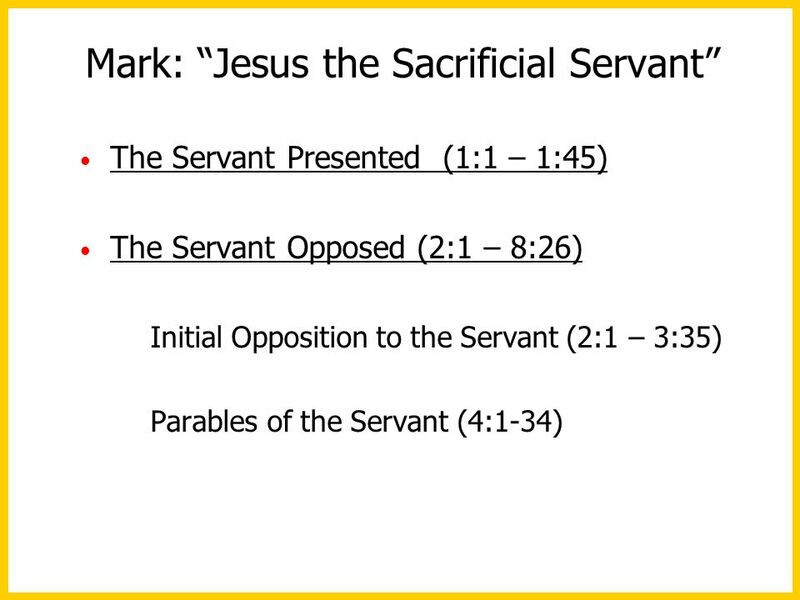 Download ppt "Jesus the Sacrificial Servant Mark 10:45"
Luke 23:2 The Religious Rulers. 1 ? Mt 26Mk 14Lk 22Jn And they that had laid hold on Jesus led him away 53 And they led Jesus away 54 Then took they. 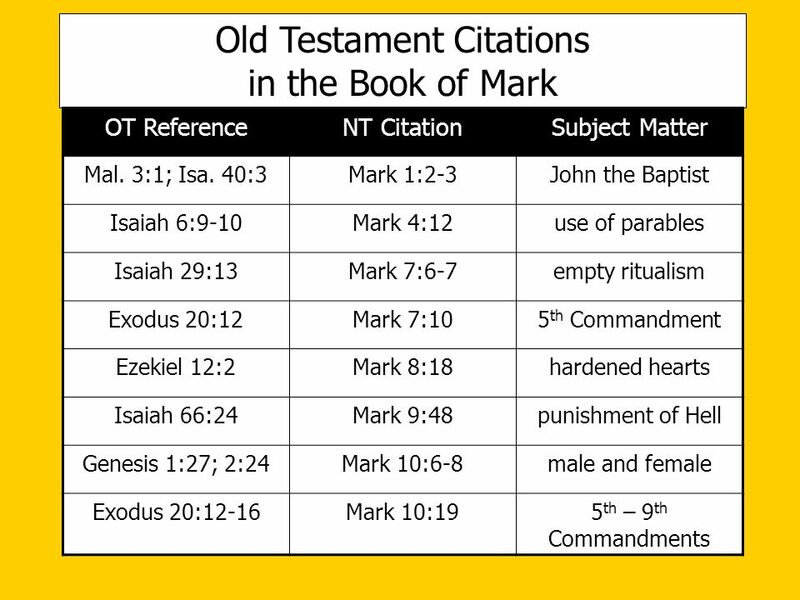 Gospel of Mark Part V Events after the Passion Ascension Mens Bible Study. "Through the Bible" Week 5 The Greatest Commandment.